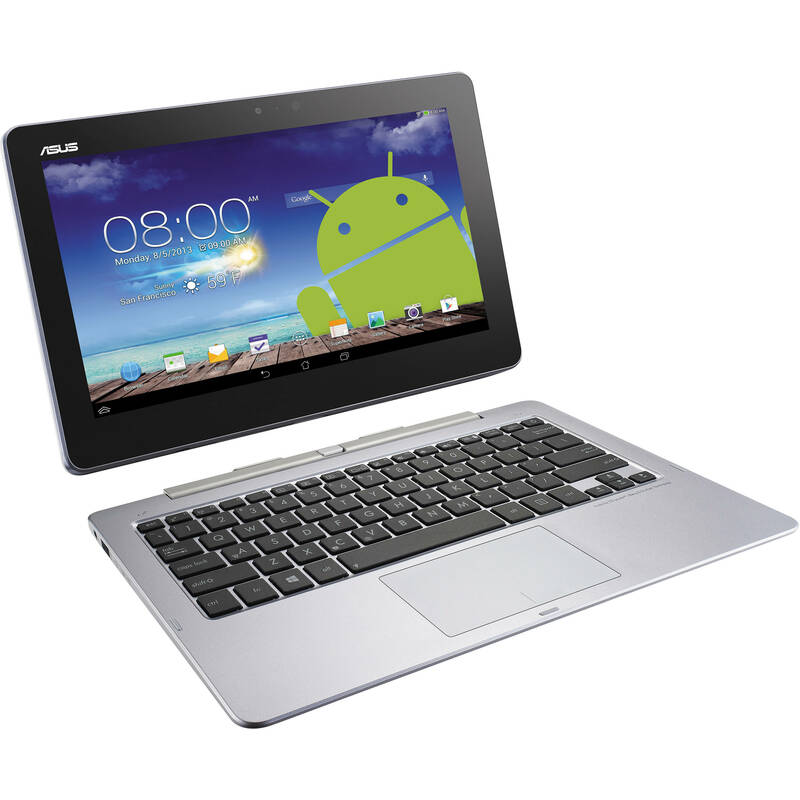 Asus has been responsible for many innovative products over the years, and their Asus Transformer range is no exception. We’re going to take a look back at what each of these models offered and the hole in the market that Asus was able to fill with their arrival on the scene. When you think of the biggest brands in computers, Asus is definitely at the top of many people’s lists. 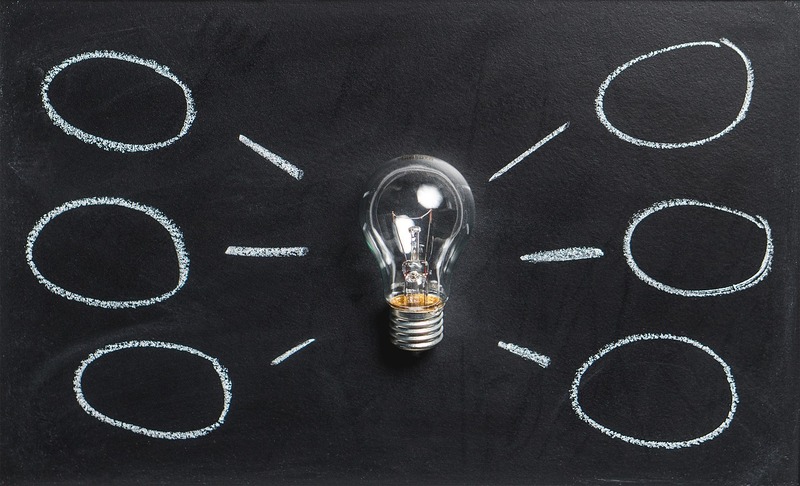 This creative brand has been making innovative products to suit all sectors of the markets for decades, and when they bring out something new, we all sit up and take notice. 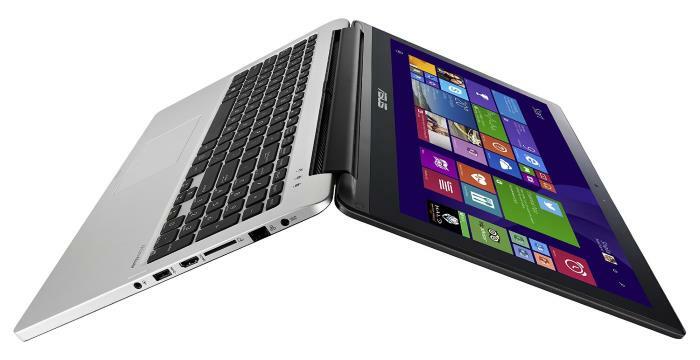 The Asus Transformer was a huge range for them and within this range, there were a few different models. The Asus Transformer Pad, Book, and Book Flip each offered something to consumers that the other didn’t and were able to grab a share of the market that had previously been unattended. 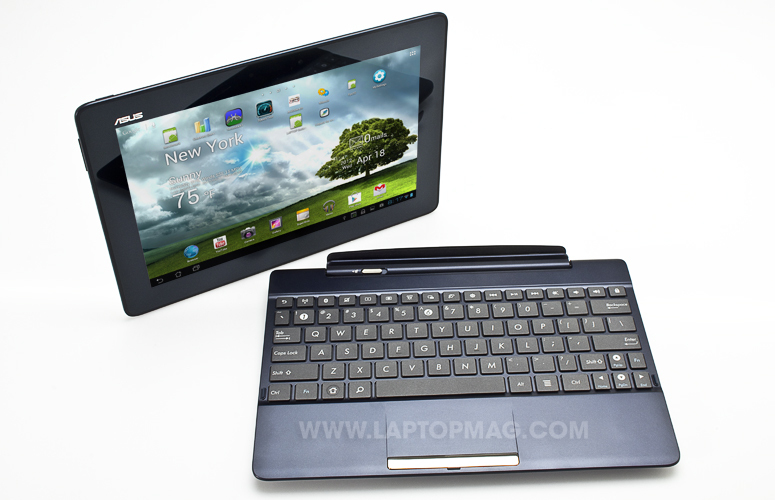 We’re going to take a detailed look at the products in the Asus Transformer range and what their best features were. For the gamers who want to know if these devices would be suitable, there’s a little more you’ll have to know about their specs and features before you go adding them to your gaming setup. Who Were These Devices Made For? Are They Good For Gamers? 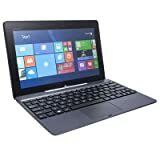 These days, there’s not a computer brand out there that doesn’t have their own range of tablet computer hybrids. Asus can say that they were one of the first though; taking a huge risk releasing their tablets that would revolutionize the way people used their devices forever. 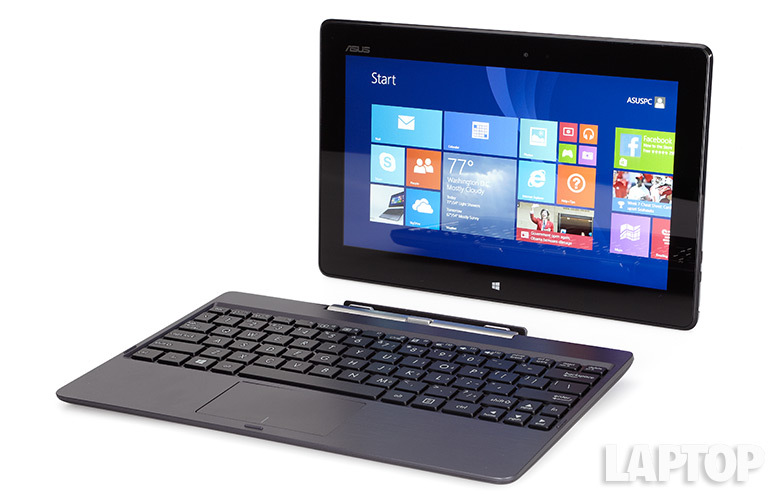 In January 2011, they released a huge line up of different tablets, one of which was the Asus Transformer. As one of the cheaper but fully featured and functional ones in their line up, it quickly became known as the best. Compared to the other models, the Transformer was also more widely available which means more and more people were able to experience the tablet revolution. They didn’t wait long for an upgrade though, and it was released at the end of the first year that they came out that there would be many more models coming soon. The second Transformer to be released, the Transformer Prime TF201, was even more popular than the first. It was lighter and slimmer than the first, plus looked stylish and felt more durable. In terms of features, it wasn’t too much different, but the other updates made it a standout. 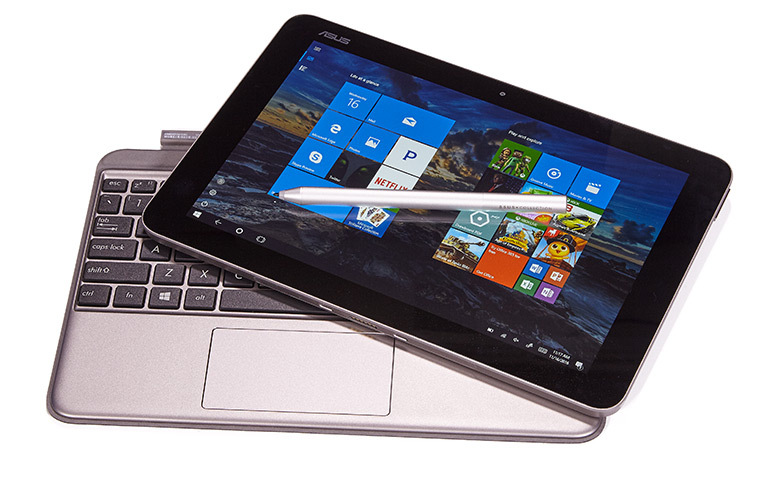 By now, Asus had well and truly cemented themselves as leaders in the tablet game. These devices ushered in a whole new era for computers and personal devices. Tablets and hybrids like these meant people were able to work not just in the home or office, or even anywhere their laptops had been, but you now had a completely portable and easy-to-use personal device that did everything your computer could. No longer satisfied with just making simple devices that could help out with word processing or writing work emails, Asus stepped up to make these serious entertainment machines as well. With powerful processors and specs that meant some were considered enviable gaming devices, they managed to tap into almost every aspect of the notebook market with just one range. These were the more basic of the bunch, and in a simple pad design, hence the name. 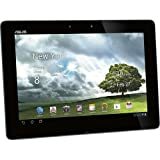 The Asus Transformer pads run on Google’s Android operating system and work just like a basic tablet. They’re detachable 2-in-1 devices that mean you can choose the best way to use them, depending on your needs. Because they only run Android, you won’t get as many functions as you would with a laptop or notebook style. Here are some of the models that featured in the Pad range. The very first Transformer released in 2011 by Asus. This model came with an optional docking keyboard, 10.1” IPS touchscreen, Nvidia Tegra 2system-on-a-chip, and resolution of 1280 x 800. The very first Android tablet computer to feature a quad-core processor and the second in the Transformer line. With a foldable design and smart cover, it was extremely portable. Some of its features were a 10.1” multi-touch screen, Nvidia Tegra 3 system-on-a-chip, 1280 x 800 resolution, and mircoSD reader. This model emerged in 2012, a year after the first had been released. Following the Prime, it upgraded with a Tegra 3 T33 processor capable of 1.6 GHz and an impressive 1920 x 1200 resolution which was twice its predecessor. Using a Super IPS+ panel on the screen it was even able to use it outdoors which added further to its versatility. After seeing how well their first range of Transformer tablets did, Asus decided to up the ante and release some notebooks. The Transformer Book first came out in 2013 and the key difference with these netbooks was that they now ran Windows 8.1. Featuring a small 10-inch screen and complete keyboard, this was the new era of netbooks. With a detachable top half that also turned it into a tablet, so for a great cost you could get 2-4-1 devices. Running an Intel Atom Processor and serious battery life, this was a force to be reckoned with. This is still one of the most popular devices in the Transformer range thanks to its ultra-thin design and serious running power. With Windows 10 as its operating system and Intel Bay Trail-T Quad Core Processor, it was capable of so much more than its predecessors. The Chi also cost less and felt lighter than other notebooks on the market, and was all operated with a completely fanless construction. 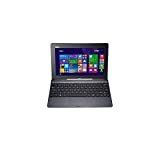 This small netbook featured an 11.6” screen with full HD IP display, featured SonicMaster audio, and an Intel Core i7 processor. With up to 1TB HHD and the ability to run on either Windows 8 or Android Jelly Bean 4.2, it was a device that could do it all. This was marketed as three different and capable devices: a tablet, a laptop, and a full desktop PC. As one of the newer models in the Transformer range, this highlights what Asus is really capable of. It might be small and sleek, but it’s got serious power like a ROG XG station 2 that allows for 4K gaming and a Universal Dock which means you can connect everything to the one device. At 8.5mm thin and with a 12.6-inch display capable of 2880 x 1920 pixels of resolution, it’s a serious gamer’s device and more. Latest Intel Atom Quad Core x5-Z8350 Processor with 4GB RAM for fast and efficient performance.T102HA is small in size, but big on connectivity. Dimensions: 10.2" x 6.7" x 0.5"
This device was marketed as a fun and convenient little package and that’s exactly what it offered. With a 10.1” screen and extremely light feel, it offered two devices in one to suit all of your needs. 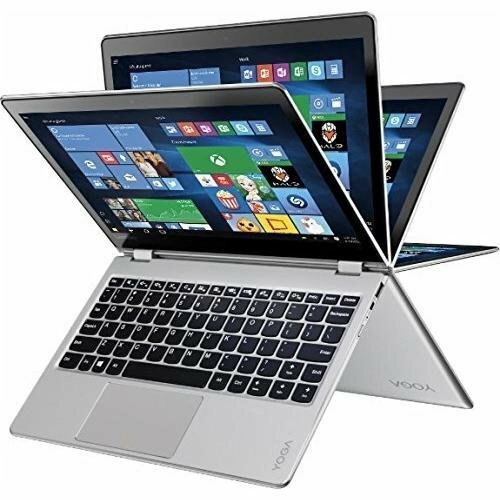 This notebook has a massive 11 hours of battery life, huge 2880 x 1920 resolution display, and 178 degree viewing angle. All of these features make it much more than a workbook, but a great entertainment device as well. The Asus flip is a range that again offers more versatility in how you use it, and although it’s moved far from the original Transformer, it still offers the same basic benefits of portability and efficiency. These devices feature a flip function that helps them to convert to whatever style you need, and these are just a few products in the range. This was the first Book Flip that Asus released in the Transformer range and it was created for durability thanks to its 360 degree rotating hinge. It was designed for the home and office and features countless connection options including Type-C and Micro HDMI. With a full-size keyboard, eight-hour battery life, and wide viewing angles it’s great for office presentations or watching the latest movies. With a 15.6” full HD display and 4th generation Intel Core i7 processor, the TP500LA is a great everyday device. 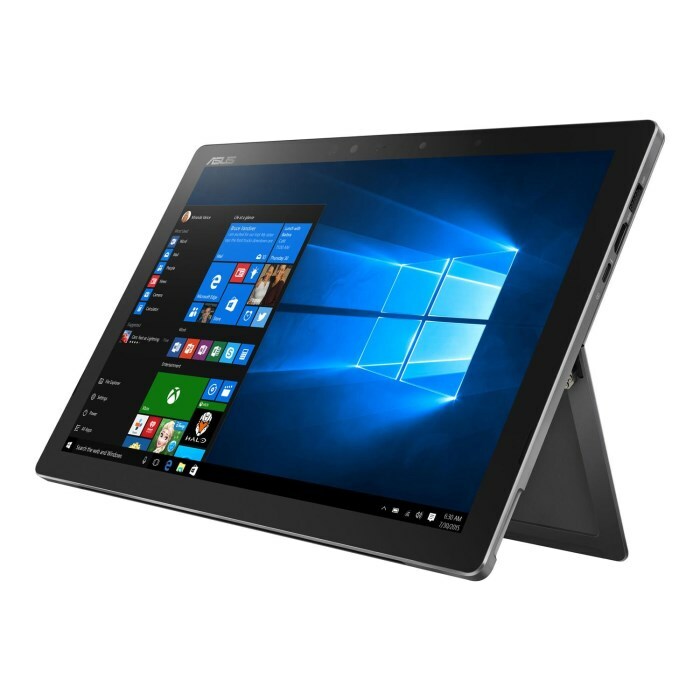 Using Windows 10 Home as standard with the option to upgrade, this is perfect for the home or office with a brushed aluminum finish. The TP500LA uses a touchscreen and offers 1920 x 1080 resolution which makes it highly practical and efficient. When the Asus Transformer was first released, it had a pretty obvious demographic in mind. These smaller tablets allowed professionals to take the office home with them but also indulge in a bit of fun and entertainment as well. With a primary focus on processing like spreadsheets and word documents, as well as connectivity and smooth keyboards and touchscreens, it was clear they wanted this to be a professional user’s station. However, as the began to develop them further and add more tech, these devices became so much more than just a work system. The later models of the Asus Transformer can do it all, so depending on what you’re looking for a device for there’s a good chance they’ll make the mark. 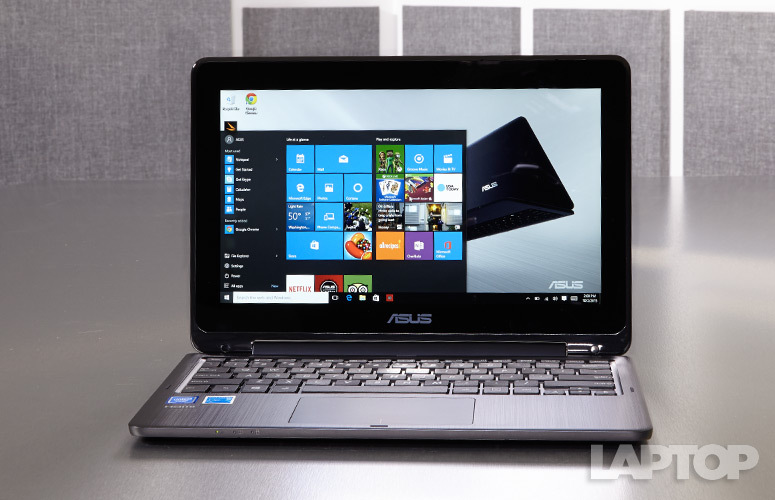 Whether it’s gaming, video editing, watching movies, writing emails, or getting your work done away or in the office, there’s a good chance that Asus have a Transformer notebook or tablet that can get it done. The key question on everyone’s lips is whether or not these devices are good for gaming. When the Transformer was first released, you’d probably stuggle playing some of the older games on it but as Asus soon realized they could fill another huge hole in the market they sat up and took notice. With the addition of powerful processors, insane graphics chips, and keyboards that allowed for serious gaming, the Transformer was changed into a serious gaming companion. Models like the Transformer 3 Pro were made specifically for gaming, even including the ROG XG Station 2 which means you can enjoy VR or 4K gaming from the device. In terms of purchasing one just for gaming, it’s definitely a smart investment. Because Asus has made this line to be so affordable, you can enjoy high-quality games on reasonable settings at a fraction of the price of desktop computers. You’ll also get to benefit from the portability and compactness of each of their notebooks and tablets. 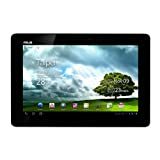 When Asus released the very first Transformer tablet in 2011, only they knew how big this range would get. 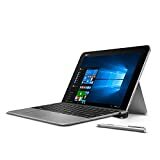 With this one product, they changed the way we own personal and portable computing devices forever, and since then have expanded the range into something even more amazing. Staying true to their promise to make these devices affordable as well as efficient and innovative, the newer models of Transformer books offer the exact same. They’ve managed to keep them updated with the latest tech and specs to keep everyone from office workers to gamers happy and even the older and refurbished models are still doing well. With more releases planned in the future, these books and tablets look quite different from the very first model from 2011. 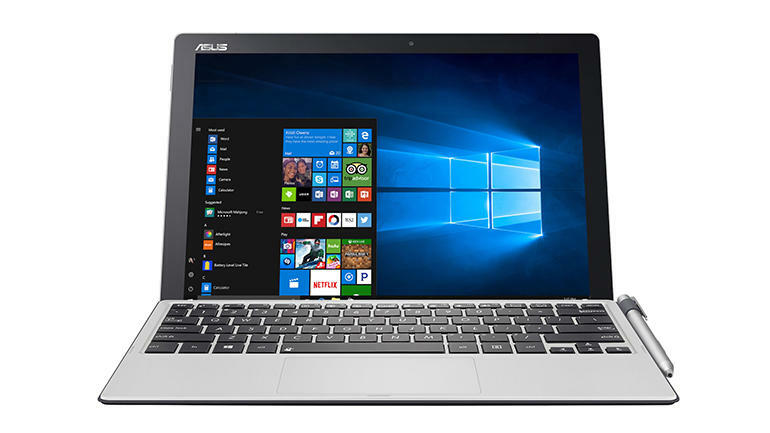 However, they still offer the same ingenuity as they always have and are backed up by the trusted Asus name, so they’re a smart choice for both personal and business users. Nvidia is known for delivering some of the best graphics when it comes to desktops and laptops, and even some of their older graphics cards can still deliver by today’s standards. We’re here to review the GeForce GTX 970M graphics card by the innovative brand and see which laptops that it features in so you can find the ideal one for gaming. Would This Be Suitable For Gamers? Released in 2014, the GeForce GTX 970M was a graphics card created for the most premium laptops and was based on the Maxwell GM204 design. The 28nm DirectX-11 card was considered a high-end option and better suited to those laptops that were made for more than just business documents. Nvidia announced that the clock rates for the GPU were 924 MHz with the option for Boost Technology, and 1,250 MHz for those with up to 6 GB of memory. Although technically part of the Maxwell era cards, this one has undergone quite a few changes, including being the first chip to ever support Direct X 12. ​There’s no doubt in anyone’s mind that Nvidia knows how to make graphics cards that are built for gaming, so how does the GeForce GTX 970M stack up? From the results of testing, it’s obvious that this is far more powerful than the last model (the GTX 880M) and at the time of its release, it was the second fastest that the brand had ever made. Depending on what applications you’ll be using this card for, the results varied somewhat. When it comes to gaming, results showed that it performed around 15 percent faster than the last model which shows a vast improvement. One area definitely worth mentioning is the power consumption, with this card giving off a far higher performance per watt than others. With the card and its MXM board, it delivers around the same as the GTX 870M in terms of power usage but offers a whole lot more. However, keep in mind that this power means it should only be used with powerful gaming laptops that have adequate cooling systems otherwise there could be trouble. ​The million dollar question is whether or not the GTX 970M is an ideal gamer’s graphics card, and it most definitely is. As one of the top end models around, this has been designed for those intense gaming sessions and will work with many of the latest games. Because most of the laptops that these are built into are made for more than just gaming, you’ll get plenty of versatility. They’re designed to be for both home and business, with most gamers probably preferring just to use them for their favorite passion. However, keep in mind that investing in something with this card, even though it’s years old now, will likely cost a little more. To ensure the GTX 970M runs efficiently, all other specs need to match its requirements, so be prepared to pay extra if you need something that can handle the visuals. ​The GeForce GTX 970M is capable of delivering an HD display up to 1440P, even with newer games. Made in 2014, it had more than enough power to run the high-end games from this time and will still be able to perform quite well with more recent titles. Here are some of the more recent games you’ll be able to enjoy with this graphics card without losing any of the fine detail and high definition. As you can see, the GTX 970M is a serious graphics card and even with titles that had been released in 2018, it was able to perform on high settings. Therefore, if you’re looking for a quality gaming laptop that might be a few years old but still more than capable, this is the graphics you should be aiming for. 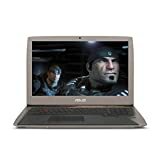 ​What good is a graphics card on its own and without a quality laptop or computer to enjoy it with? For those in the market for a quality gaming laptop that has a powerful enough graphics unit to make their dreams come true, check out just some of the lucky notebooks that feature the GTX 970M. 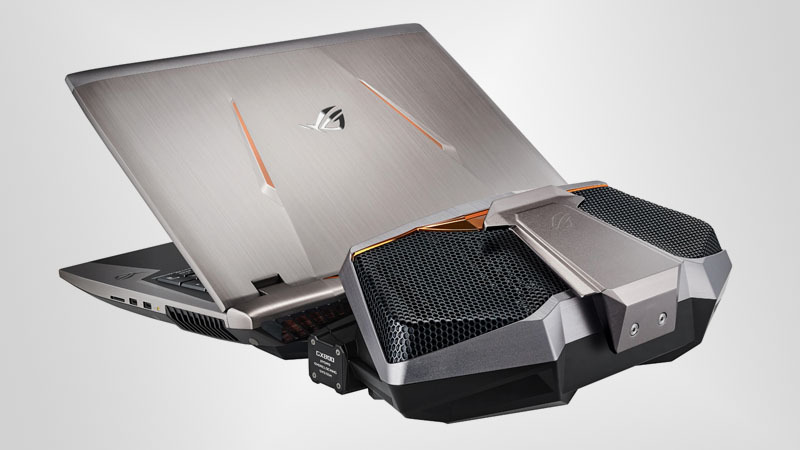 Some people were a little shocked at the unique design of the Acer Predator when it came out, but there’s no doubt that its cooling system was state of the art. This laptop was made for gamers and it delivers on every front and they weren’t afraid to charge for something more premium. The Acer Predator comes with the 970M and a Core i7-6700HQ so together they’re a force to be reckoned with. This one is only a slight upgrade from the last model but with a key difference of way more storage, so it’s worthwhile to spend the extra cash on this version. 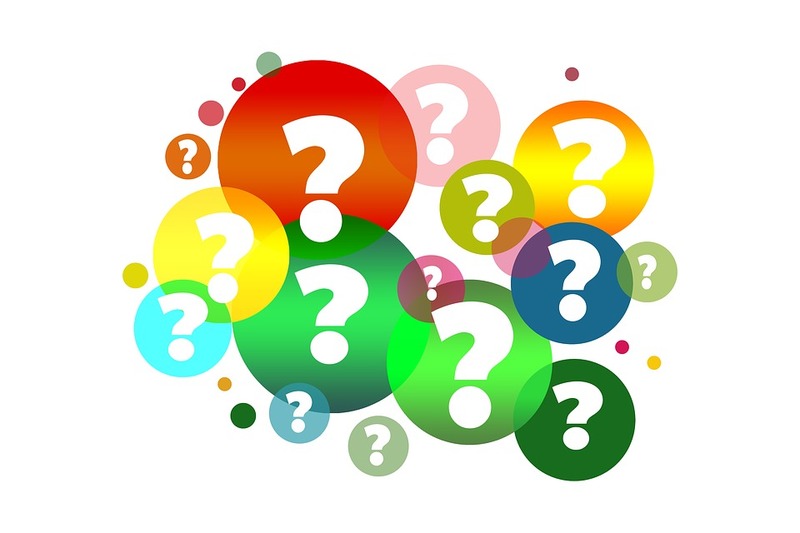 Most people assume that to get a serious gaming laptop you need bulk and heavy-duty materials. 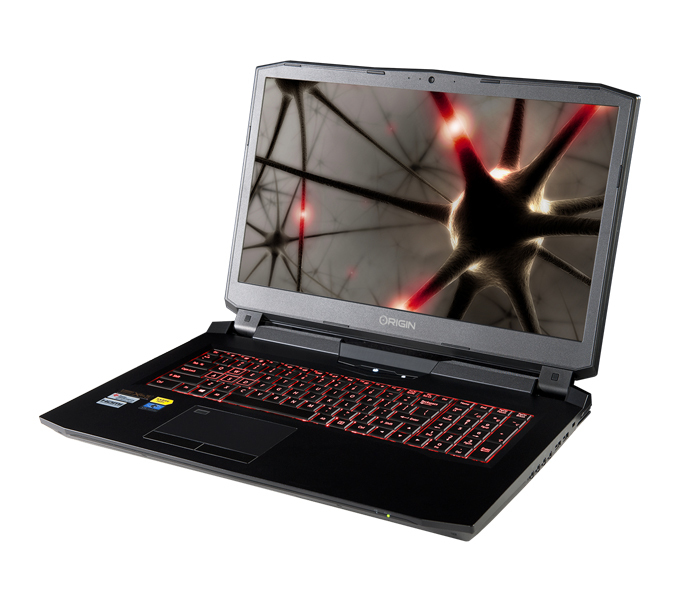 Schenker has proven everyone wrong with this lightweight, sleek, and incredibly powerful gaming laptop that features the GTX 970M. This laptop gives you the chance to fully configure it to your needs which means less hassle later on. There are multiple options for the processor, wireless modules, and different keyboards, so you really do get a lot of say about how you prefer to game. A very serious and respected brand when it comes to gaming, the Alienware 15 is the only machine you could ever wish for. People hear the name Alienware and automatically think of gaming so you can sure you’re getting exactly what you need with this device. Not only does it perform on the inside but it’s stylishly cool and not like many other laptops in this genre. 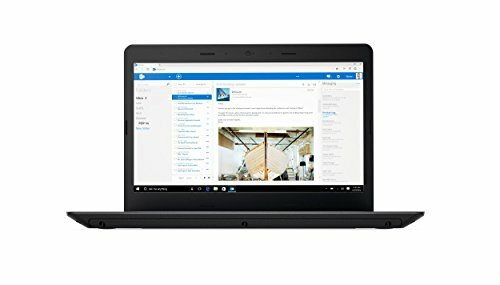 Unlike other laptops of theirs, this one is actually reasonably priced and not hard for people to purchase especially now that it’s a few years old. The graphics still do incredibly well and when paired with Alienware Graphics Amplifier there’s not a game out there that it will struggle to play. 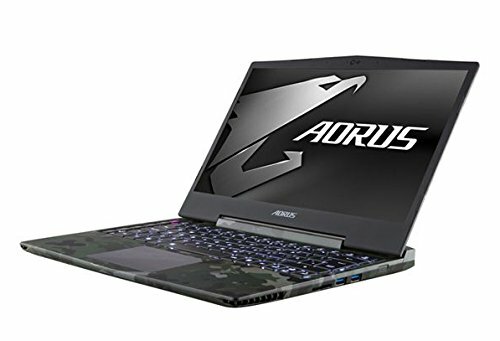 This is a computer that doesn’t want to lean too far to being a work or a gaming laptop and it’s happy to offer both. The Razer Blade 2016 is for those who really love their gaming but also have to pay the bills, as it offers a lot more visually than others in this niche genre. This laptop looks amazing too, with rounded edges and a thin finish. Inside, you get the GeForce GTX 970M and the Intel Core i7-6700HQ, meaning any game is possible. Additional features include a webcam, Bluetooth, USB 3.1 connectors, and a Lithium Ion polymer battery pack. Don’t let the look of this notebook deceive you, as although it might be small it’s one of the most powerful and portable options on the list. The ultra-thin 14-inch laptop works with the GTX 970M and an impressive 2.6Ghz i7-4720HQ processor inside, making it a serious contender for the best one in our reviews. 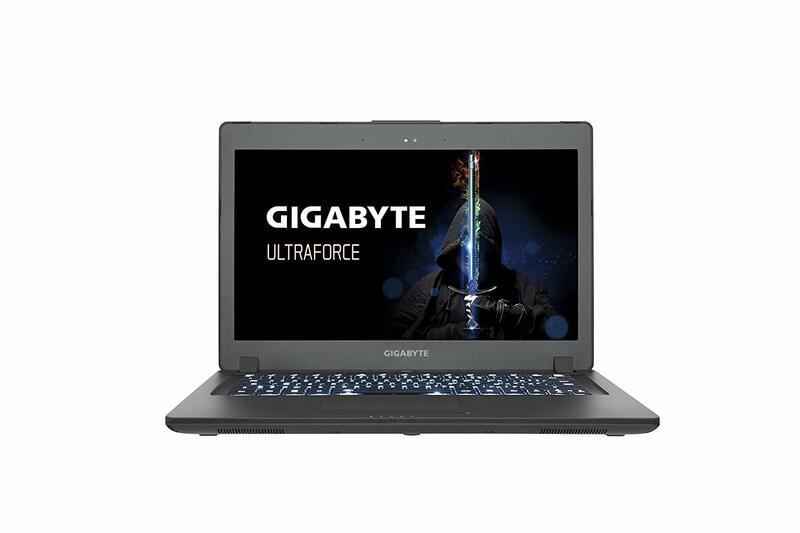 Gigabyte might not be the first name you think of when you talk about gaming laptops, but they’re quickly building a reputation for themselves as leaders in the market. Everything about this laptop screams gaming and it’s so powerful you won’t even want to bring it into the office and show it off. MSI is another brand synonymous with gaming laptops and this one hasn’t let them down. The G640 Phantom is a high-performance machine and in a nice, compact package. You’ll get reasonable temperatures even after hours of gaming and the keyboard seems designed just for gamers also. The display is pretty powerful at 1080p, but there are others with better visuals on offer, however, because it’s so lightweight you can forgive them for it. With a 16GB DDR4 RAM and 126GB SSD, it just adds further to its features and makes it an obvious choice for a quality gaming laptop. 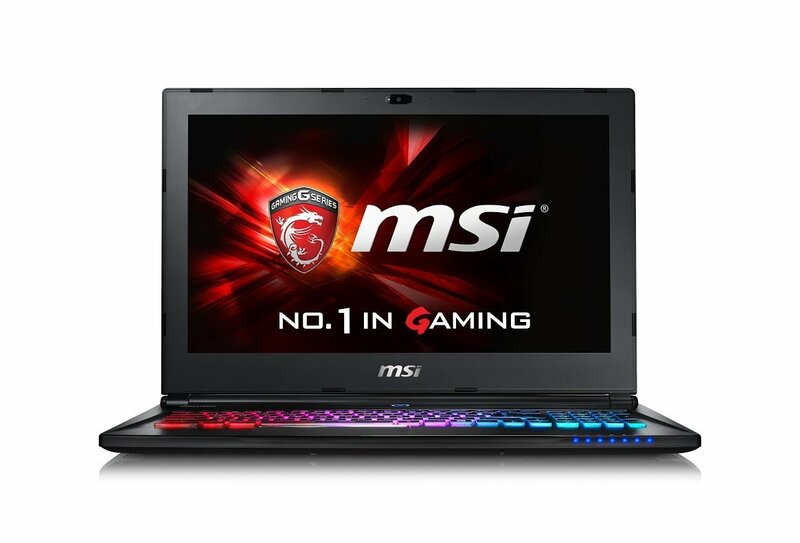 MSI are kings when it comes to gaming laptops and their GS60 range has been some of their most popular yet. This laptop received a serious upgrade since its last version and was considered one of the best of the year, still being able to compete with many on today’s market. There’s the Intel Core i7-6700HQ Processor, Nvidia GeForce GTX 970M graphics card, and 128GB of storage on offer, and that’s just the beginning. Don’t be fooled by the look of this as it seems more like a business device than one for gaming, the GS60 will beat many of the others here on our list in terms of performance and visuals. This was the model that Asus decided they’d had enough of the thinness and started to focus on other aspects of the laptop. Seeing huge advancements since the last version, as well as the addition of “Strix” to the model, you can tell that Asus is trying to set this one apart, and they’ve definitely managed to. With a full-size Chiclet keyboard, plenty of ports and cable options, and a smooth and sizeable touchpad, there’s nothing else you’ll need for your gaming setup. The graphics are a cut above the rest and by the far best that the ROG had done to date, and it’s reasonably priced when compared to others here. Most gamers don’t like to play on anything smaller when it comes to their screen, but they might also make an exception for the Aorus. With a 14 inch display, you’ll be surprised how well this plays when compared to bigger models, and because it comes with GTX 970M graphics and 3x RAID 0, we’ll let it slide. This laptop is purely made for gaming and although a little smaller it has a full-sized, tactile keyboard. With deep sense QHD + resolution at 3200 x 1800 pixels, you’ll be hard pressed finding anything better in this size. Aurous proves that size isn’t always everything when you’ve got power behind you. ​When the Nvidia Geforce GTX 970M card was first released, it was a force to be reckoned with. 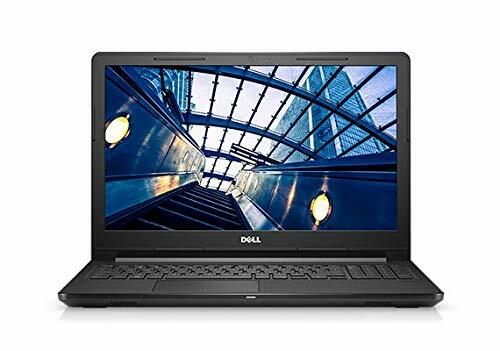 Although there have been newer models on the scene since then, this is still a great choice for the serious gamer who prefers to play on a laptop. Judging by the performance and how well it displayed games from this year in a high definition resolution, this is still a powerful player in terms of graphics cards. If you’re searching for something on a budget but don’t want to give up your high-end games, the GTX 970M is a great option that won’t let you down. Skyrim has offered millions of gamers countless hours of entertainment, but what about when you want more? We’ve rounded up the best Skyrim mods around in all categories from user interface to magic and skills. Check these out to give a whole new spin to your favourite RPG from Bethesda. ​Bethesda changed the RPG game forever when they released Skyrim, and although the game is dating a little more each day, the mods are not. Thanks to the huge community of Skyrim aficionados, the mods for this fantasy title continue to grow. Not only can you spend days at a time exploring the already huge world they’ve created for you, with over 50,000 mods to sample you’ll add even more versatility to it. Check out some of the coolest mods on offer with the best Skyrim mods around, and keep an eye out to see the new ones being released daily. ​Before you can jump into the action of Skyrim mods, you need the right tools to use them. Check these out to ensure you manage and utilize your mods the right way. Be sure to check in from time to time as these get updates, and it’s best to be running on the latest version. This is the biggest online Skyrim Mod hub around and the most common place you’ll find them. Nexus Mods offers up the Mod Manager as a free tool and it’ll help you to not only download the mods but also activate and deactivate them. Not only does it work for Skyrim, but a bunch of other games too, so you have a one-stop shop. This allows a little deeper control of your mods than the Mod Manager and is better suited to those who plan on using more than one. It will ensure nothing gets overridden or wiped by accident. If you’re using some of the more difficult mods, you might need this script extender to make them work. To cover yourself, it’s probably ideal to download it anyway so that you’re not doubling back and having to do it all again once you run into trouble with the mods. Once you’ve dropped it into your Skyrim folder, use it to launch from here on out. ​Nobody ever said that the UI of Skyrim was its best point. Rather than putting up with the numerous bugs you encounter along the way, why not fix them all and then go one better? These are the best patches and customization mods for Skyrim we’ve found. This is like the ultimate UI mod for Skyrim and one that will make the entire game a whole lot better. Not only will this make the game itself better but it works with the other mods you might have in play and lets you get so much more out of them. Since the official patches ended a while ago it is now up to the community to keep them going. 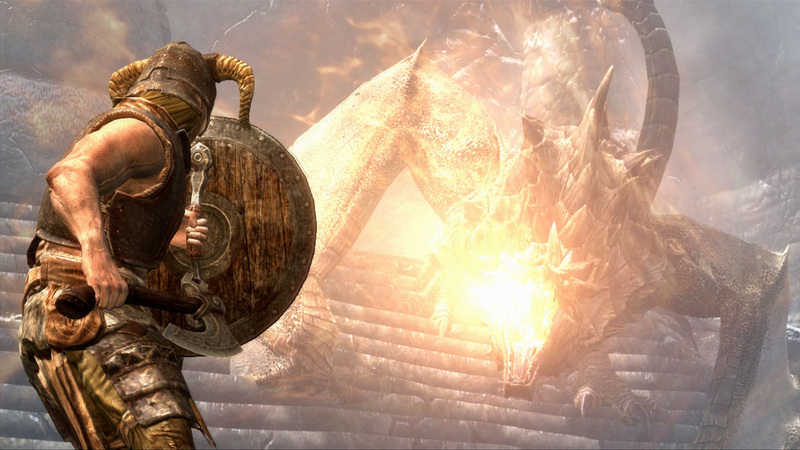 The Unofficial Skyrim Patches get regular updates thanks to a dedicated team of modders. This has a patch for everything you can think of, like on to give you High Res and make the game even better than ever. ​There’s nothing more annoying than being on your way to do something important when all of a sudden you’ve started an auto quest without even meaning to. This mod will put an end to all that and give you a whole lot more choice, just as the name suggests. You can stop getting auto quests from books and NPCs and only take on the ones that you really want. These mods allow you to update and tweak Skyrim’s systems to put a new spin on things. You’ll be able to change certain things about combat, magic spells, and various skills to change your power in the game. ​If you’re getting tired of the spells you have on hand in Skyrim, this mod can give you a whole lot more. With 140 new spells at last count, you’ll have heaps of fun testing them out. Whether it’s new ways to attach people or summon something unique, this one will give you hours of enjoyment. ​Any good ninja knows that stealth is about more than just basic crouching or sneaking. The Sneak Tools mod will make you hone your stealth skills to the next level and start moving around like a highly trained assassin. You can do things like attack people from behind or put out lanterns so you can move around in the shadows. ​There’s no doubt that some of the skills and perks in this game feel a bit vanilla, so why not spice them up a bit with this mod. 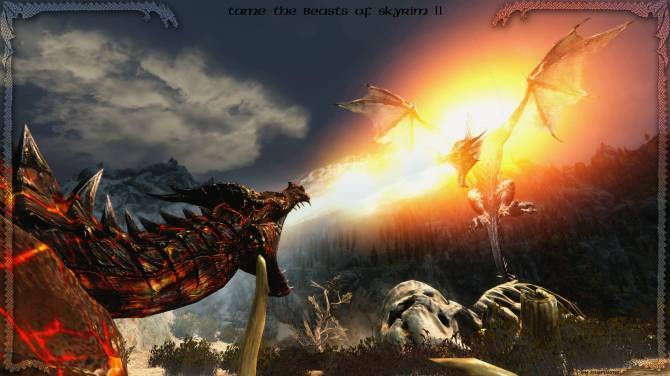 Perkus Maximum takes Skyrim’s skills and gives them a major overhaul. The result is all of the standard effects you know and love but a whole range of active effects that have been added. 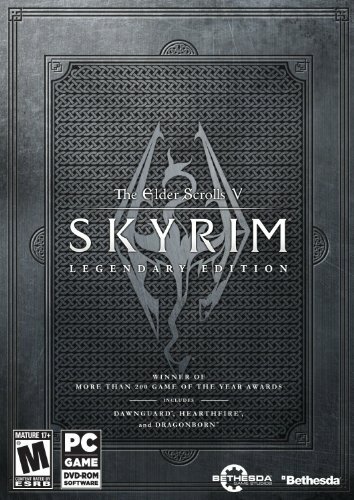 ​For all of your weaponry needs or other equipment you carry around in Skyrim, this is the place to be. 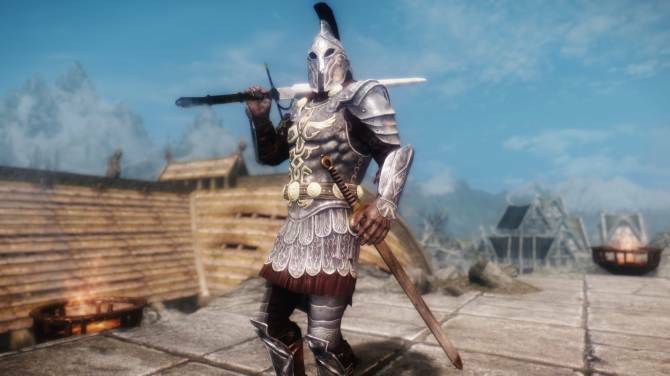 These mods can add more gusto to your weapons or let you do things you never thought possible. ​The go-to mod for those who want a whole bunch of new weapons to play with. Immersive Weapons will add everything from axes to swords into your inventory and you’ll have a lot of fun learning how to master them. ​You might wander around Skyrim and notice a distinct lack of firepower in the game. Project Flintlock is here to change all that with a few cool and very serious weapons. You’ll get a flintlock rifle, grenade launcher, and blunderbuss that will add some intense weaponry choices to your favorite RPG. ​The first thought you had while playing Skyrim probably wasn’t, “Wow check out these visuals!” Thankfully, there are plenty of modders on hand who have worked tirelessly at this over the years so now you can be really impressed with what you see. ​The only weather mod you’ll need for Skyrim, Climates of Tamriel is comprehensive and gives you plenty of options. You can change everything from the sun to a whole new cloud system, and it will improve the lighting to give a completely different look to your favorite game. This helps take some of the monotony out of the day to day life in Skyrim. ​The NPCs could do with a little work in Skyrim and while you want to get lost in the dialogue you sometimes can’t help but look at how dodgy they appear. This mod is the be all and end all of NPC development and it makes them look more realistic without taking anything away from their natural style. ​Subtlety is key with this mod, and you might not realize just how many little changes it’s making until you finally see that the whole game is looking better. Static Mesh Improvement edits the 3D models within the game and works in over 15,000 locations throughout the game. The smallest of details like a piece of rope will look infinitely better and make the visuals pop. ​The animals and other beasts found in Skyrim are certainly entertaining, but with a little modding they could be even better. Check out these configurations that can make everything from the smallest mouse to the largest dragon new and exciting. ​If you want to add some spice to the animals you find in Skyrim and don’t mind putting up with an extra challenge from them, the Immersive Creatures mod is the way to go. This configuration will allow you to get up 2,500 new creatures to play with that will be a lot more thrilling than the standard fare. Think demons and dragon people and you’ll be on the right track. ​It’s hard to be scared of some of the beasts you see on Skyrim because their visual quality is pretty poor. This mod will amp things up a bit and make all of the animals and predators come to life in HD. Not only will they look more realistic but they’ll do realistic things, like bears traveling to get water or predators who don’t always want to hunt and eat because they might be full from a recent meal. ​Have you ever wanted to own a dragon as a pet and maybe have it work on your farm for you? Not really? Well, either way, this mod will let you do that and more. Rather than making your way around town slaughtering all of the beasts you find you can actually tame them and put them to good use. Not only that, but you can breed different species together to create super pets. ​Wouldn’t it be great to have real life mods that you could use on the various characters you encounter throughout your day? Alas, no such luck, but that doesn’t mean you can’t have a whole lot of fun with these Skyrim mods for their NPCs. ​Just as the title of this mod suggests, you’ll be able to get more Interesting NPCs when you use this configuration. Rather than the same old storylines or dialogue, these are a bit more in depth. If you really find one that takes your fancy the mod will allow you to marry them as well, putting a whole new spin on the game. ​Bless the citizens of Skyrim and their naivety, thinking that whenever a dragon appeared they could simply all run towards it, give it a few punches, and it would vanish. This approach almost always leads to them being eaten by said scaly beast, so this mod will help them to take a different route. Rather than trying to fight, they’ll run and hide, saving a lot more lives than before. 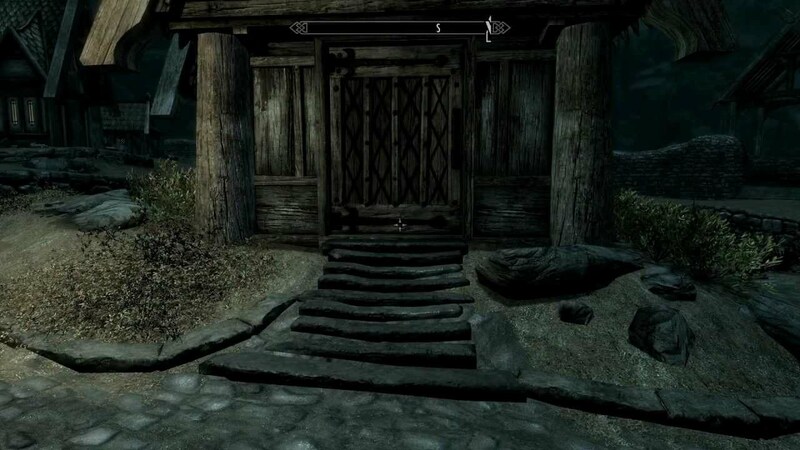 ​It can be a lonely road you walk while playing Skyrim, and often you can spend ages as the only person around. This simple mod adds a whole bunch of travelers who will be around at all times and help take the lonely factor out of the game a bit. There’ll be mages, mercenaries, and merchants aplenty so you’ll never feel alone again. ​Change things up by giving yourself completely new locations to explore on the map or adding some quests to your to-do list. These can add hours of extra fun to your game and will breathe new life into Skyrim. This mod sees you taking a pretty normal nap at Breezehom but then waking up in Sheogorath. Within this place, there is a battle going on between the nations Madness and Dementia. On either side, you’ll find a complete quest that will take at least an hour and make you feel as if you’re in a waking dream. As one of the newer mods on our list, it doesn’t mean that this one hasn’t been just as popular as the rest. Enderal: The Shards of Order is seriously epic and can give you a whole new world that matches Skyrim itself in terms of size. You’ll get everything brand new and as if it came from a different game entirely including NPCs, quests, and dungeons. Judging by the happy reviews, Enderal will get you at least 50 hours of new gameplay to enjoy. Acer is a leader in notebooks, laptops, and computers, with their Acer Aspire range being one of their most popular. We’re here to look into this range of notebooks and what each of them offer, to find one that is the best pick of all. Acer has used their technological savvy and position as an innovative market leader to produce an unparalleled range of well-priced, specific user focused machines that range from the basic through to very advanced models, depending on your need and budget. The Acer Aspire is this range, and within it, there are so many amazing models worth mentioning. The philosophy with this range was that no one computer would target every user and so they may something that could be customized. Until Acer launched its Aspire range it was very much a case of purchasing a laptop that was close to the desired specification and then tweaking it in areas like processor speed, RAM, hard drive, graphics and sound cards, none of which come cheaply. With literally dozens and dozens of models of Aspire, each has its own purpose. Some are general purpose and others more technically and user specific. Even at the entry level, the Aspire offers creditable computing power wrapped up in a package that is as aesthetically pleasing as it is functionally excellent. Working through the Acer Aspire range of laptops in order to find the ‘one’ might be easier if you follow a few basic rules of thumb. Budget: have something in mind before you start looking. Refurbished older models offer a great budget friendly approach. Weight: Depending on where you take your laptop, the weight could be worth considering. Specifications: Check that the laptop you choose has the right stuff you need to game with, including high end titles. Processor: The minimum you should go for is an Intel Core i7-6700HQ with at least 8GB of RAM. You will otherwise find problems with loading and graphics on some of the higher end games and certainly with VR. Screen display: This is a personal preference that will depend on your gaming setup and needs. Keyboard: Unless you plan on using a specific gaming keyboard, you’ll need something that’s comfortable but also effective during gameplay. Graphics: The graphics card inside your notebook will need to be powerful enough to play the games you prefer. This card transmits the data from the CPU onto your monitor, so it’s cruialto get it right. RAM: The memory component within the notebook will indicate how fast it runs, and as a minimum for gamers, look for something with at least 8GB of RAM. When thinking about all of these needs that gamers have for their notebooks, we’ve found a few in the ACER Aspire range that might be suitable. Check out the specs of these popular models to see what they offer, and their price upon release. With so many models and configurations available, we’ve found one that can do things quite well in more areas than one. The Acer Aspire E15 is great for home and office, with gamers even being pleased with what it offers, so let’s check out what it can do. When it comes to converting video, this is done through HandBrake the Aspire E 15 took only 25 minutes and 15 seconds to convert a 4K video to 1080p, which is good, but about 10 percent longer than some competitors. The Acer Aspire uses an installed Nvidia GeForce MX150 graphics card and 2GB of dedicated memory. This certainly helped in terms of quality and again when compared to others in higher price points, it did a lot better. Although the Acer Aspire is capable of playing some games when purchased straight off the shelf, it’s better to spend the time and money tweaking it to get more. Thankfully, they’ve allowed for the room to do this which is what makes it so promising for gamers. The Aspire E 15 will run all day on a fully charged battery and it’s got enough power for long plane rides as well. Browsing the internet and doing standard tasks meant it was able to run for around nine hours, which again beats the competition. When testing out how hot it gets during use, you’ll note that underneath the notebook gets warm. However, it’s not warm enough to have any effect on the performance. Tests show that after 15 minutes of full-HD video on the notebook, it reached 98 degrees Fahrenheit on its underside. This means for users who prefer to rest their device on their lap, it has the potential to heat up somewhat. The Acer Aspire E 15's 0.9-megapixel webcam is a fairly standard medium to low quality affair. For basic applications like Skype and others, it’s suitable but won’t be able to deliver an high definition photography. If you need more from your webcam, it’s advisable to buy a plug-in web camera that can deliver results, because this isn’t an area where the E15 shines. Acer has equipped Aspire E 15 with a lot of software – or ‘bloatware’ as some like to call it. Some are useful but for the most part not so useful that you’ll want to keep all of it on board. 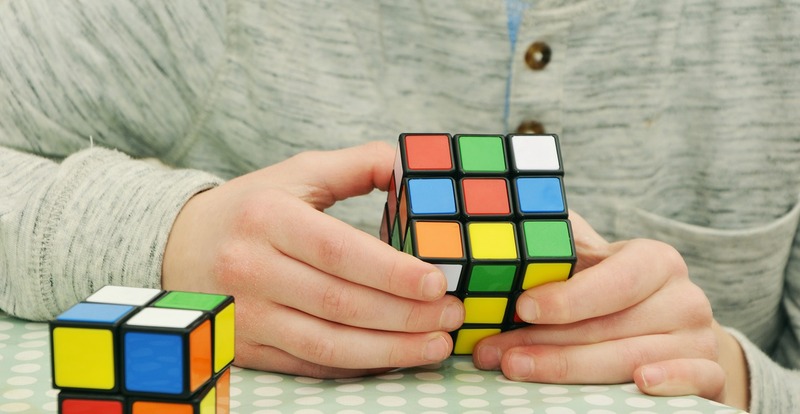 When it’s a matter of slowing down speed and taking up memory, you’ll likely want to get rid of some. Care Center is an App that Acer created for their devices and it’s intended to keep track of the utilities and system information. In addition, you’ll also get the installed Quick Access window, which gives access to two different settings that can greatly impact your experience. The first is Bluelight Shield, which filters out blue light that has been shown to prevent a restful sleep, and the other is an innovative app which gives the option to stop USB ports from powering other devices when the Aspire is turned off. This means you won’t get any unanticipated draining of the laptop battery by such things as mobile phones and other such USB powered equipment that are in the area. Acer also provides a Power Button app so that you can turn off the display or send your laptop into hibernation, sleep mode or fully shut it down. Cyber Link PowerDVD 14 is also installed to enable viewing of DVDs and has a host of features that make video viewing easier and therefore more enjoyable. The entry-level Acer Aspire E 15 features an Intel Core i5-8250U processor, 8GB of RAM, 256GB SSD, and a Nvidia GeForce MX150 graphics card. The upper-level model gets you the full force of a Core i7-8550U CPU plus all the other standard technology and software of the entry level model. Depending on what you need and what your games require, the choice will be up to you. 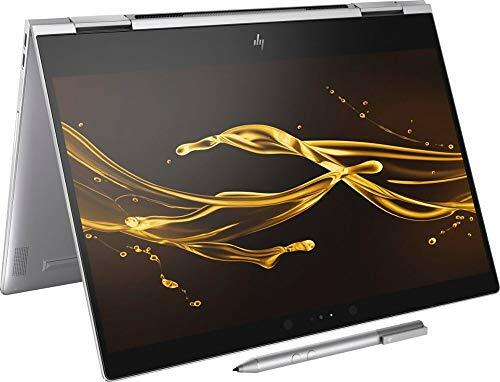 This model has a 15.6-inch screen and offers reasonable quality color unless you upgrade to the higher model which will improve it significantly. When tested against others, the Aspire E 15 produces 74 percent of the RGB spectrum, which is below the 89 percent average that others in the category have, and emits up to 200 nits of brightness. With a backlit keyboard including a number pad, the Aspire E 15 provides a comfortable workstation with plenty of options. Typing is assisted by the fact that the keys have 1.5 millimeters of travel and 71 grams of required actuation force. These all work together to improve the ergonomic factor of the keyboard and make it especially useful for gaming. Sound is a pivotal aspect of not only movies but also most games, adding a sense of realism and emotion that goes towards making a truly immersive experience. The Aspire E 15's speakers produce great, rumbling bass and very clear treble with a nicely configured sense of separation and ‘space’ coming from the stereo soundcard that is driving them. The audio is clear and without distortion but beware of running above 75 percent output. 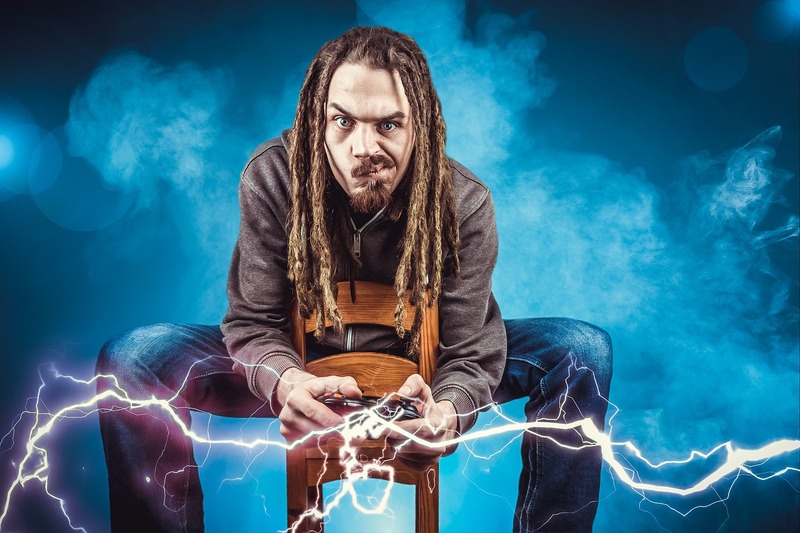 In this case, some of the low-level frequencies that are present within games can cause a bit of a rumble that could possibly cause physical damage to the speakers over time. For performance and features, it is hard to look past the Aspire E 15 if you’re working on a budget. long battery life, solid construction, ergonomic keyboard, and Core i5 processor make this a great package. If you’re looking for an affordable entry-level laptop that has more than most on offer, the Aspire E15 is a great option. Given the option to upgrade if you need to, you have more choice when choosing a notebook to suit your gaming needs. Whether it’s for work or business, this is one in the Acer Aspire range that will tick more boxes than the rest. NVIDIA has recently released their line of GeForce GTX 10-Series GPUs, and they’re the perfect choice for gamers. With compatibility for VR and 4K games, you can’t get any better for a gaming laptop, so we’re here to check out the GX 1080 laptops and what other features they have to offer. The graphics card of your laptop or desktop computer has a huge impact on what games you’ll be able to play, and how good they look while you’re doing it. With that in mind, you want the top performing GPU in your device to get the best results. NVIDIA is known for breaking new ground when it comes to their graphics, and their latest GeForce GTX Series-10 generation of GPUs is the latest and greatest in gaming. If you’ve been on the hunt for the best gaming laptop around and want to seewhat the GX 1080 laptop is capable of, this is the list for you. processors and Alienware Cyro-Tech 2V2.0 thermal technology, this is definitely a machine of the future. Made from the finest materials that ensure it will take a beating, this is the ultimate gaming device. Copper, anodized aluminum, and magnesium alloy all come together to make it powerful and awe-inspiring. The NVIDIA GTX 1080 and Max-Q technology means it’s perfect for all kinds of games, including 4K and VR, smashing other competitors out of the water. For the gamer who prefers a lightweight touch to their gaming laptop, look no further than the MSI GT63 Titan RG. The unique addition of their special Cooling Boost system means you can game for days on end without ever worrying about overheating, and the rest of the specs will ensure that you do it with the highest quality possible. Using the latest 8th Gen Intel Core i7 Processor with a Windows 10 Home or Pro as your operating system, this has the very best on board. 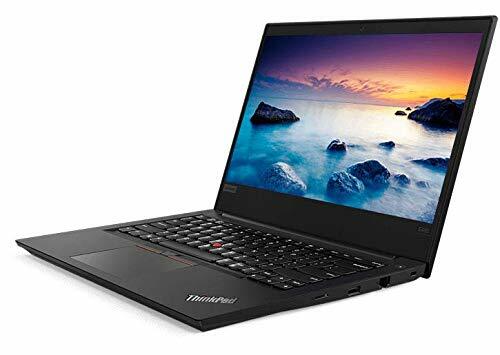 Known as the only laptop with a full HD 120Hz refresh rate you’ll actually be given a lead against others you’re playing with, which is more than enough to justify the price tag. When Acer sets out to make a laptop, they aim to do it better than anyone and for a fraction of the cost, and the Predator Triton 700 is a great example of this vision. The Titan 700 comes standard with the NVIDIA Ge Force GTX 1080 graphics unit and 7th Gen Intel Core i7 Processor, easily stacking up to the more expensive competition. 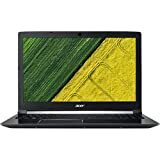 Acer has added plenty of extras to this laptop that makes it an instant winner, including the ultra-thin metal fan blades use within that save plenty of weight or the Dolby Atmos Sound that adds so much more to your game. HP and Omen have created their first overclockable laptop and uses a unique system to pull cool air in and push the hot air out, so you’ll never have to worry about overheating or damaging your GPU and CPU. This is a laptop for people who usually push their hardware to the limits, but this time you can do it without fear. tech designed specifically for gamers. This is a heftier laptop but one further proof of just how powerful it is, inside and out. 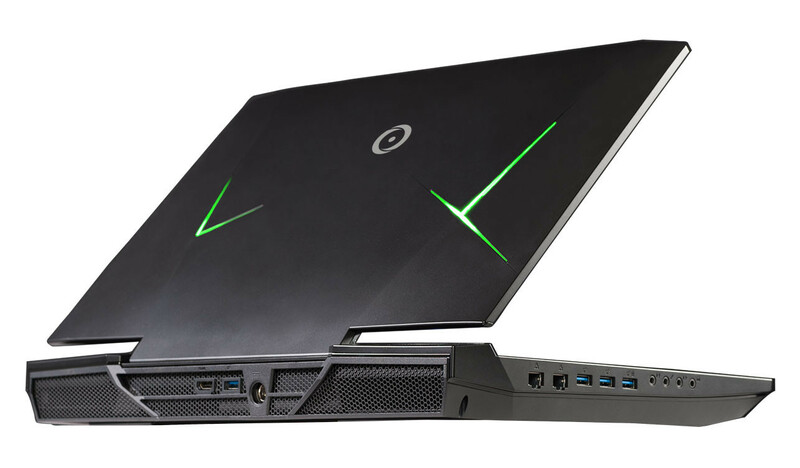 Alienware knows how to make the perfect gamer’s laptop which they’ve proven again with this device. The best feature, of course, is the NVIDIA GTX 1080 graphics card that will deliver the highest quality no matter what game or genre you’re interested in. The design gives you absolute versatility with a range of ports and plugs including HDMI, USB 3.0, Thunderbolt port, and more. With 16GB of RAM, a webcam, Tobii IR Eye Tracking, and Intel Core i9-8950HK, there’s really nothing missing from this powerful device. Another great and affordable option from Acer is their Predator 21X laptop. This GE 1080 laptop will power up just about any game you want to play without a hassle. One little difference though is that instead of just one of these phenomenal graphics units they decided to add two. The Acer Predator 21X is fully customizable and includes a personal maintenance panel that you can really make your own. It’s VR ready, has Eye Tracking Technology, Dolby Audio, and comes with Windows 10 operating system, so you’ll never need to look anywhere else for a quality gaming computer with all the features. Not only a laptop for gamers, this is also designed for music producers, so you can be sure that it’s a serious device. The Razer Blade Pro 17 comes with a high cost though, but some say it’s well worth it. You’ll get up to a 4K resolution for all of your gaming needs and be able to enjoy it all on their huge 17.3” screen. With everything you can expect from a high-performance gaming laptop,including Quad Core 7th Gen Intel Core i7 processor and GE 1080 Graphics, there’s really nothing more you could ask for. They’ve also added in plenty of storage, options for ports, and heaps of memory just to be safe. Another great addition to our list from MSI is their Titan Pro. A little older than the other models but still powerful nonetheless and everything you need to enhance your gaming experience. MSI knows how to make a laptop that won’t have you missing your desktop, and most of its power is thanks to NVIDIA GE 1080. There are so many features here added just for gamers, including their patented Cooler Boost cooling system and everything you need to get VR ready. This brand prides themselves on being the first ever brand to have their laptops VR ready so you can be sure you’re in safe hands with this GE 1080 laptop. They market this gaming laptop as an extreme machine and it’s easy to see why just looking at the specs and features. The Origin EON17-X 10 Series features the super fast NVIDIA GeForce GTX 1080 and an overclocked 8th generation Intel Core i7 desktop processor to give you the best mobile gaming system around. This isn’t for those who like a sleek little laptop as it comes with a massive 17.3” display. However, this is all the more room for you to enjoy the finer detailslike a full 4K resolution, VR ready capabilities, and G-SYNC technology, just to name a few. If you like to add a whole new level of geek to your gaming experience, check out the MSI GT75VR 7RF Titan Pro laptop. The concept behind this machine is totally sci-fi with everything from the multi mechanical RGB keyboard to the arrow-shaped design of the pad, you’ll notice an infinitely cooler and more comfortable gaming experience. MSI has added their standards which is the GE 1080 and a 120HZ refresh rate with 3ms response time. 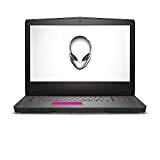 Whether you want to play on the seriously cool laptop or attach some screens for a surround sound look, this laptop can handle whatever you throw at it and more. ASUS had a vision in mind when they created this laptop, to deliver an ultra slim but high performing device that would be a gamer’s dream. The ROG’s body is a slim 16.9mm – 17.9mm and uses an innovative new cooling system to keep you playing for days on end. Featuring the NVIDIA GeForce GTX 1080 graphics, 8th Gen Intel Core i7 processor, and Max-Q design, it ticks all of the boxes. You’ll also get a super fast 3ms response time and 144Hz which is some of the highest ever seen on a gaming laptop before. ASUS proves yet again you don’t have to be the most expensive to be one of the best. Origin knows how to please gamers, and their 10 Series laptops are definitely a dream come true. This model promises to deliver a dual desktop gaming experience with the compact size and feel of a laptop, and they’ve managed to stay true to their word. The EON17-SLX 10 Series comes with whatever you like as it’s fully customizable, with the option to get up to two NVIDIA GeForce GTX 1080s on board. Origin promises to be there for 24/7 support for the life of your laptop and you can enjoy it all on a 4K high-resolution screen of 17.3 inches. This can do everything from play the highest definition movies to deliver a smooth gaming performance, the choice is yours. 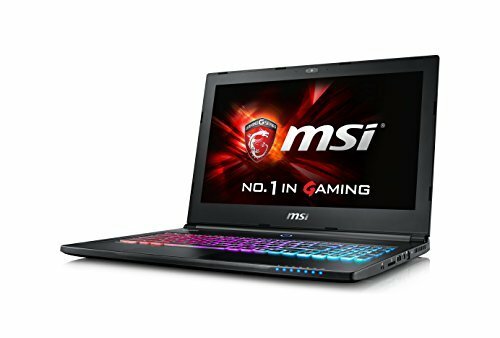 MSI GT83 TITAN-027 Full HD Extreme Gaming Laptop i7-8850H (6 cores) GTX 1080 [SLI] 16G, 32GB 1TB SSD + 1TB HDD, 18.4"
If you’re sick of hearing the MSI name, we can’t help you out, as they happen to make some of the best GE 1080 laptop models around. The GT83 Titan was the world’s first ever VR ready gaming laptop and although it’s a little older compared to some of the list, it won’t let you down. Be prepared to pay for the pleasure of using this beast though, coming standard with Windows 10 Pro and the latest 8th Gen Intel Core i7 Processor. Little additions like 72 percent NTSC color range and the ability to run three monitors on 4K surround sound make this an instant standout that still beats many other newer models on the market. As one of the fastest gaming laptops on the market at the moment, this is a great choice for those who want the latest and greatest. Its whopping 17.3” display is powered by an Intel Coffee Lake hexa-core processor which is just as serious as it sounds. With the GTX 1080 GPU and a 144Hz display, there’s no need to wonder if it will perform. With 16GB of RAM, all of the ports and plugs you could ask for, and seriously smooth display, this will be able to handle all of your gaming needs from 4K to VR. ASUS G701VI-XB72K ROG 120Hz GSYNC NVIDIA GTX 1080 8GB Intel Core i76820HK 32GB DDR4 512GB PCIe SSD VR Ready Gaming Laptop, 17.3"
Now a little older than some others on our list, but impressive nonetheless, the Asus ROG G701V1 has been specifically designed for gaming. With the 1080 graphics and an overclockable 7th generation Intel Core processor, you can be sure it will power through even your most intensive gaming titles. This is a laptop that looks more stylish than the rest, so if the aesthetics are important to you then it’s a great option. Using a Bio-Armor style that comes in either Plasma Copper or Titanium, it will impress inside and out. With a 120Hz display and G-SYNC technology, it’s more than capable to run your games and movies, so it’s the perfect entertainment accessory. 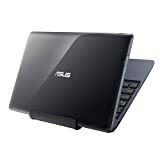 Asus has designed this laptop to operate just like a desktop, and they’ve certainly been successful in their endeavors. The ROG is their most popular gaming laptop, but it’s not just the NVIDIA 1080 that makes it so great, but everything else like the 7th Gen Intel Core, 4K UHD display, and a unique MechTAG gaming keyboard. What makes this such a standout is the unique design, with Asus changing things up with a liquid cooling dock. This means you can overclock the CPU, graphics cards, and DRAM without ever noticing a thing. In terms of gaming laptops, this is certainly one of the best, and coolest looking. Choosing a laptop for gaming comes down to many factors, but none are as important as the graphics one offers. Integrated graphics solutions like the Intel HD Graphics 630 aren’t always regarded as the best, but we’re here to find out is this one can break the mold and stand out from the rest. Those who are serious about gaming tend to steer clear of integrated graphics because they usually don’t have the power that external chips can offer. 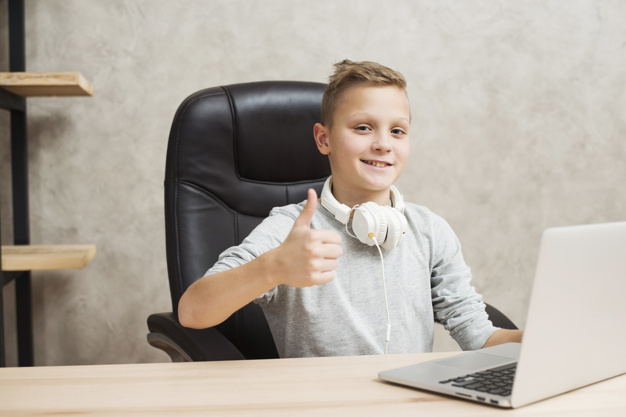 Therefore, laptops with these graphics as standard are often overlooked and considered just as business devices or those only capable of limited tasks. Intel is one of the leaders when it comes to making these graphics processors and merging them with their CPUs. 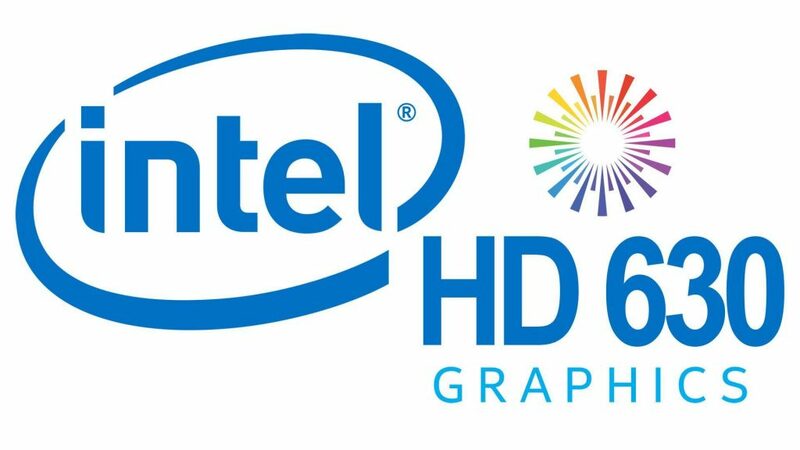 The Intel HD Graphics 630 is one of the newer models of graphics available and one that might start to change some people’s minds about what integrated graphics can offer. This review is going to look into what the 630 can deliver and when it’s used with a powerful system just what it’s capable of. We’ll investigate its top features as well as review its gaming performance, and finally see what laptops have this graphics card already installed. 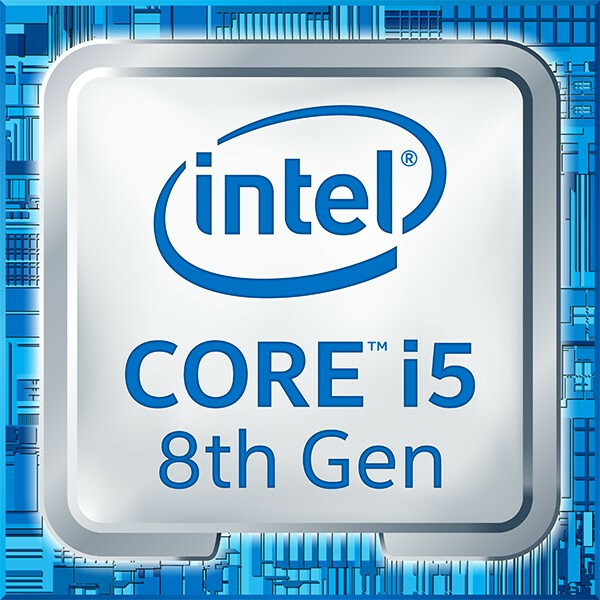 In terms of processors, the Intel HD Graphics 630 is still relatively new on the market. 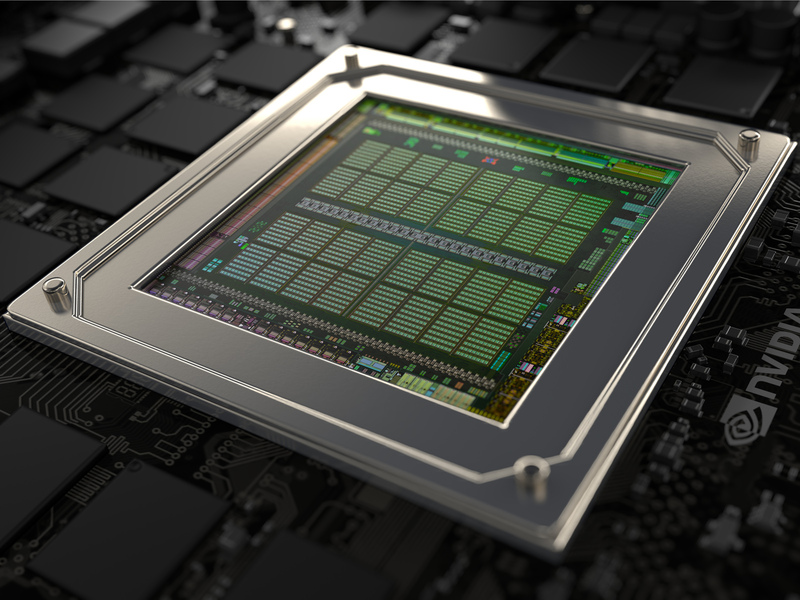 We first saw these GPUs available in early 2017 in a range of desktop and laptop devices. As an integrated graphics card, people often shy away from choosing laptops with this built-in if they want them for gaming because traditionally they just couldn’t perform. Intel has been trying to change this though and with each new release, they managed to build a more powerful and capable one. Depending on the system they’re used with and what capabilities it has, the only limit that these graphics will face is themselves. However, for now, because they have a lack of eDRAM cache or memory, they must use the main memory to function. These graphics cards are part of the Kaby-Lake quad-core generation of processors which are also relatively new, including the S and H models. When compared to the previous Intel HD Graphics 530, this one runs fairly similarly, although with a few more capabilities. The performance of a graphics card can be hard to tell as there are many other factors that come into play. There are other things to consider like the maximum clock rate of the laptop or desktop, and the L3 cache, just to name a few. These graphics chips were designed for most entry-level computers that are capable of both home and office use. They’re great for documents and processing, as well as media usage including watching HD movies, editing photos, or streaming videos on the internet. When you try to use one of these graphics chips for gaming, you start to encounter some issues. While they’re certainly an upgrade on older integrated graphics units they still have a way to go before they can compete with chips like Nvidia’s latest and greatest. 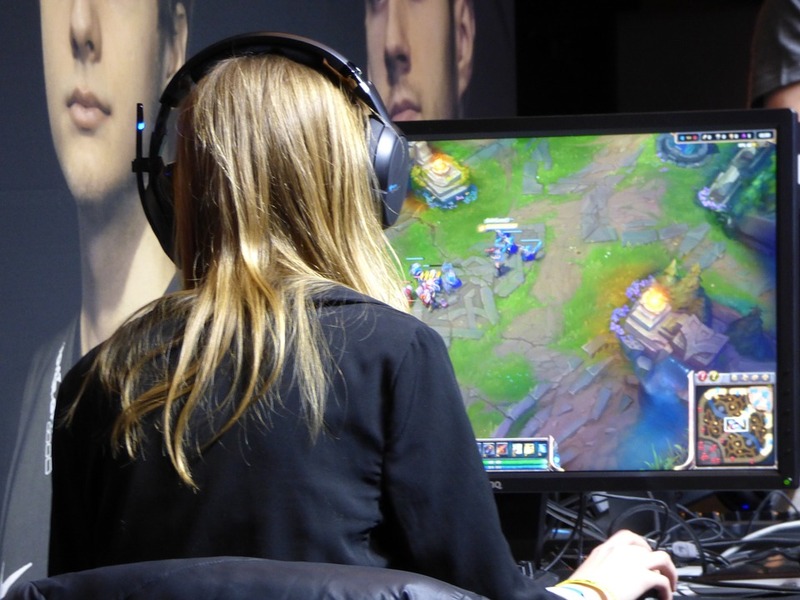 However, for low demand gaming and those who like to play casually now and then, they’re more than sufficient. To get the best use out of your notebook or desktop PC that has the 630, stick to the more basic tasks. 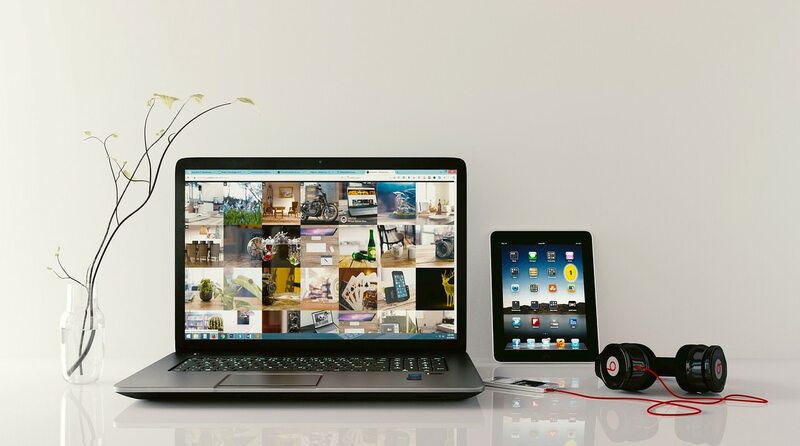 Most of these devices have been designed as work companions and for occasional home use so that’s where they perform the best. To get a better idea of what the 630 is capable of, we need to see it in its natural environment. Since being released in early 2016, this card has only been featured in a handful of laptops on the market. Here are some of the more popular choices and what they offer in terms of gaming performance and other features. 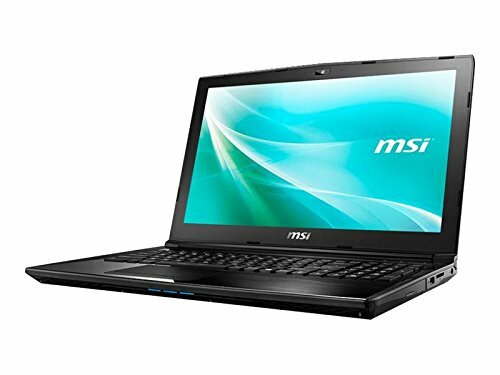 MSI is a popular brand among gamers but not all of their laptops are built as high performers. 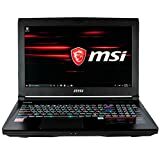 This particular MSI model has a 15.6-inch screen which is great for watching movies and entry-level gaming, but not so much when you want to carry around something portable and lightweight. 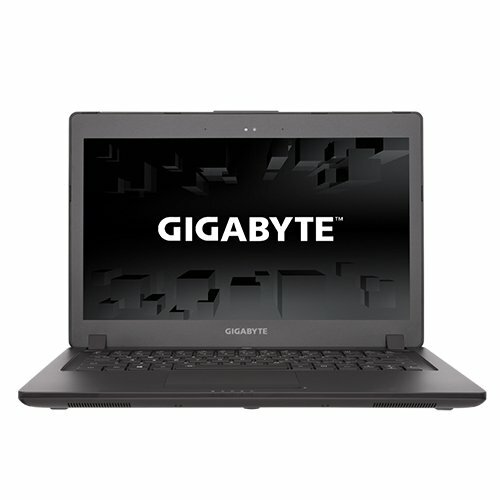 With its integrated GPU being the 630 and an Intel Core i7 processor, it’s pretty capable of meeting most of your needs. When you want to take things up a notch and play some of your favorite games, you may be in luck because this laptop uses a graphics switch. This means when there’s no need for power, it relies on the GPU and when more is needed it has a GeForce 1050 graphics card to help you out. 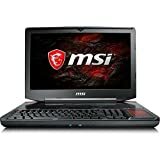 MSI makes all of their laptops with gamers in mind and they don’t discriminate with price either. As one of the more affordable entry-level laptops they have and enough power to game virtually any way you want, this is a great choice. 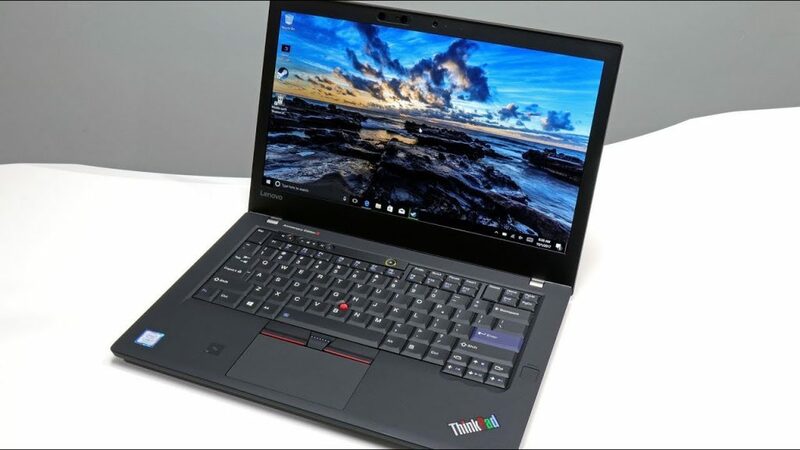 The Lenovo ThinkPad T470 is considered a mainstream business laptop but rarely seen as gaming capable. All of its features point to business use like a seriously long battery life and a huge array of ports and connectivity options. For the gamer, you’ll get a base model with the Intel HD Graphics 630 but the option to upgrade to Nvidia graphics if you want something more serious. 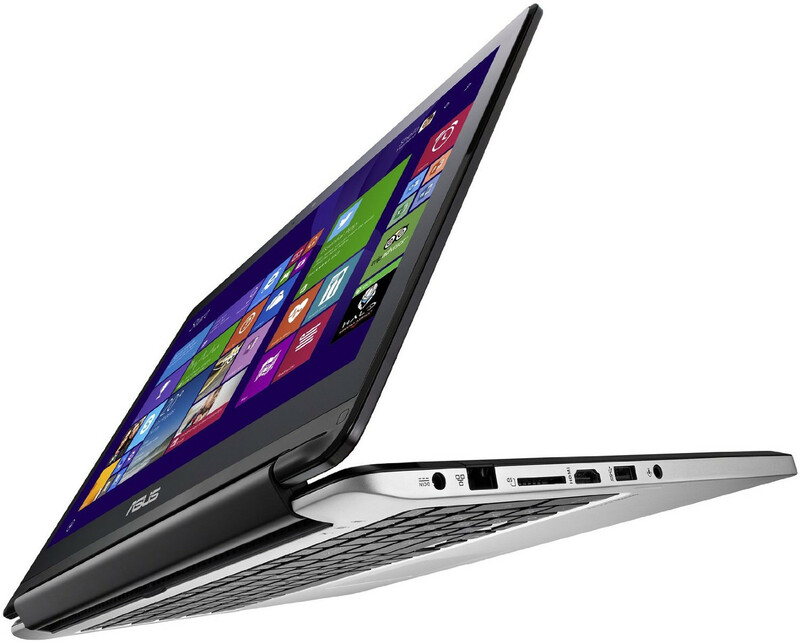 The base model also starts with a quad-core i5 processor but you can upgrade that to an i7 if you wish. These upgrades mean you can customize the T470 from more than just a business laptop into a serious gaming machine. Cost wise it’s about mid range when you add all of the extras and it’s got a pleasantly sized 14-inch screen that means you won’t miss a second of the action. 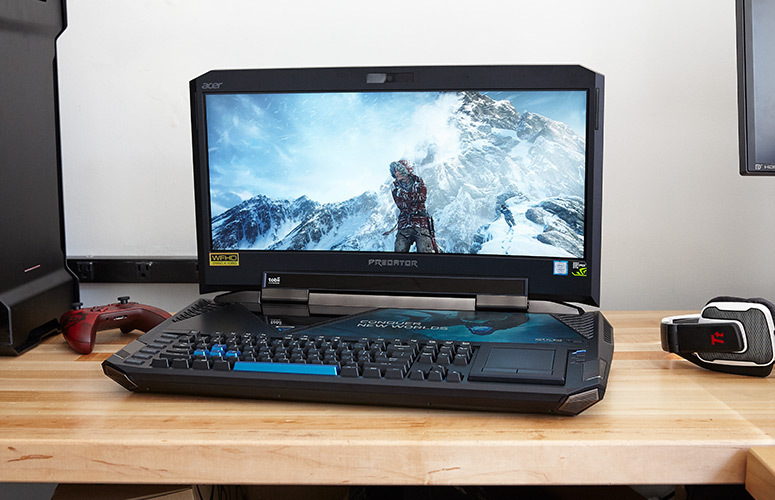 It’s lightweight, portable, and powerful, making it a great choice for gamers and office workers alike. Dell definitely knows how to make computers, and in that regard, they know how to charge for them as well. The Dell Latitude 14 5480 might come with Intel HD Graphics 630 and Core i3 processor, but that’s just the entry-level model that no respectable gamer would touch with a ten-foot pole. It might sound cheap at first for around $700, but add on all of the extras and you’re looking to spend around $2,000 instead. For this price, you could easily get a dedicated gaming machine and not one that was actually designed to be a business workhorse. The base model 1366 x 768 screen and 4 GB of RAM are pretty basic, but not if you’re using it just for work. Running Windows 10 and featuring things like fingerprint scanner face recognition webcam, Dell has really tried to be futuristic here and it worked. This is a serious contender for one of the best gaming laptops that Acer has ever made and is part of their popular VX5 series. 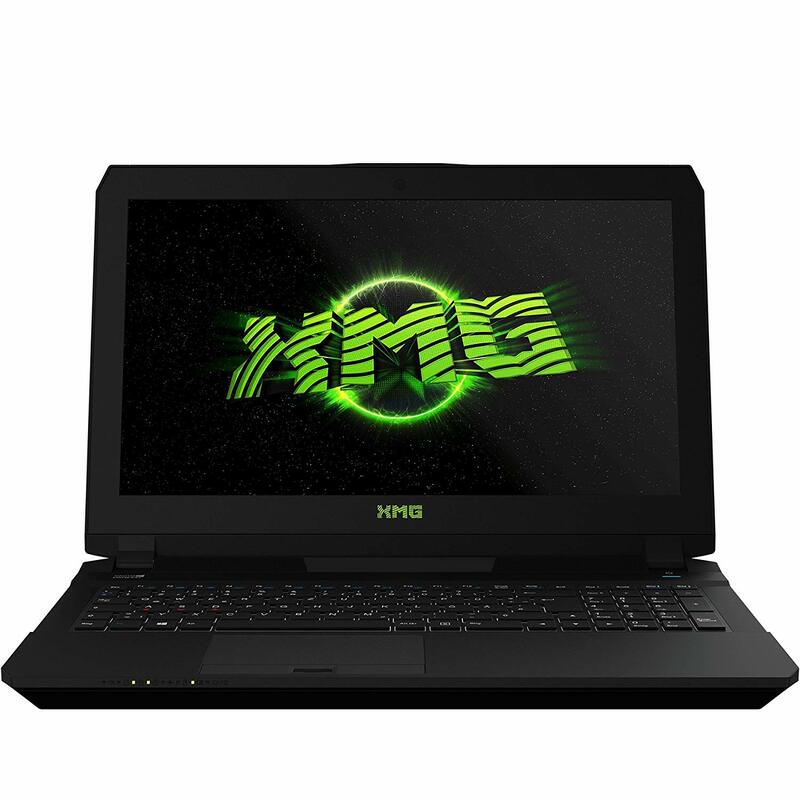 Although it features the seemingly measly Intel HD Graphics 630 it’s also accompanied by a powerful Nvidia GeForce GTX 1050 graphics chip which picks up and takes over when the other one fails. Running with an Intel Core i-7 processor also doesn’t hurt, and the power and graphics this laptop offers prove that it’s wasted on business users. You’ll get Bluetooth 4.1, backlit keyboard, and a massive 15.6-inch screen to enjoy the action on, highlighting again just how perfect this machine is for gamers. A little on the expensive side, that’s to be expected for something this powerful. The Acer Aspire VX5 series is known for being innovative and durable, and this one especially is more than capable of high-end gaming performance on the very best settings possible. 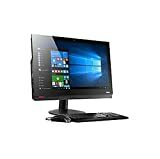 When Lenovo released the M910z All-in-One desktop computer people were confused. This took hybrids to a whole new level and seemed more like a laptop than a desktop, which might be what they were trying to do anyway. This device is a business machine and it’s not really made at all for fun. That means people wondering if it could handle gaming should probably move along unless you’re prepared to play some really old titles or enjoy your newer games on seriously sad settings. Either way, using this for entertainment isn’t going to cut it. Featuring a Core i5-7500 quad-core processor, 512 GB NVMe SSD, and humungous 23.8 inch IPS anti-glare screen, this is one to keep in the office. It’s not portable and they don’t want you to assume otherwise. Although it features the 530 graphics, you’ll probably only ever put them to use in a PowerPoint presentation. Another business notebook from HP is the slimline HP Elitebook 1040. 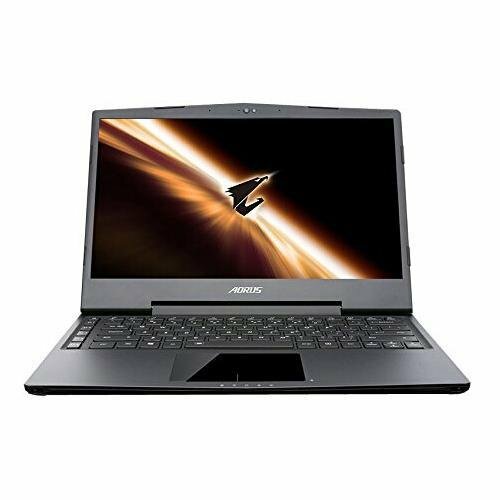 However, using a powerful Intel Core i7 processor and the very handy Intel HD graphics 630, it seems that there’s more to this than meets the eye. This isn’t a convertible like others in the range but if you’re looking at it in terms of gaming you likely won’t mind. With a 14 inch screen, it’s got plenty of space without being bulky like its predecessors were. The 1040 is actually one of the smallest devices they’ve ever made to use this powerful processor and graphics card. The weight of the 1040 starts at just under 3lbs, with more being added for the extra features you request. With 16 GB of RAM and plenty of features like 2 Thunderbolt 3 ports, LED-backlit screen with touch capabilities, and 100% sRGB, you’ll understand why it’s one of the most expensive on our list. Looking back over the graphics units that Intel has created for their laptops and desktops and it’s clear that they are improving. The main goal of these integrated systems is that there’ll be no need for other graphics chips and cards, and the laptop would have everything that a user needed. In the past, this goal seems to be way out of reach but looking at the 630 and other new chips it seems it’s becoming more of a reality. Intel is dedicated to improving things with every new model and also improving the systems they’re housed in, so there should come a day when integrated graphics aren’t as frowned upon as they are now. While it’s certainly clear that Intel has been making improvements in their graphics cards over time, it’s not quite at the point where it could completely replace leaders like Radeon and Nvidia. However, the Intel HD Graphics 630 does an adequate job of most things a computer user would need, like watching movies or streaming videos online. The 630 isn’t exactly built for gaming but depending on the other factors at play and what laptop it’s used in, it might be just enough. If you’re a casual gamer or prefer your games with a retro feel, the 630 should be more than capable of powering up and offering a smooth gameplay. Within just a few years, there’s no doubt that Intel will have developed a graphics card that’s integrated but powerful. For now, those who are serious gamers will need to look at the experts when it comes to graphics and gaming visuals unless they’re prepared to sacrifice somewhat in terms of quality. There are many parts to a computer that have to do with its performance, but when looking at the gaming capabilities a device has, there aren’t many as important as the graphics card. The Nvidia GeForce 940MX is a popular choice for notebooks, but does it hold up in terms of gaming? We’re going to review its performance and find out which devices it’s used for. The graphics card in your computer or laptop will have a lot of say about what games you’re able to play, and how good they look and perform when you do. The NVIDIA GeForce 940MX is considered to be a mid-range graphics card designed for laptop use, and if you’ve been wondering how well it performs then this is the review for you. We’re going to take a look at the good and bad of this graphics card and what kind of performance you can expect when you’re using it. As a prominent choice in many laptops today, we’ll review some of the better quality notebook options for those who are looking to invest in something new that uses this graphics card. 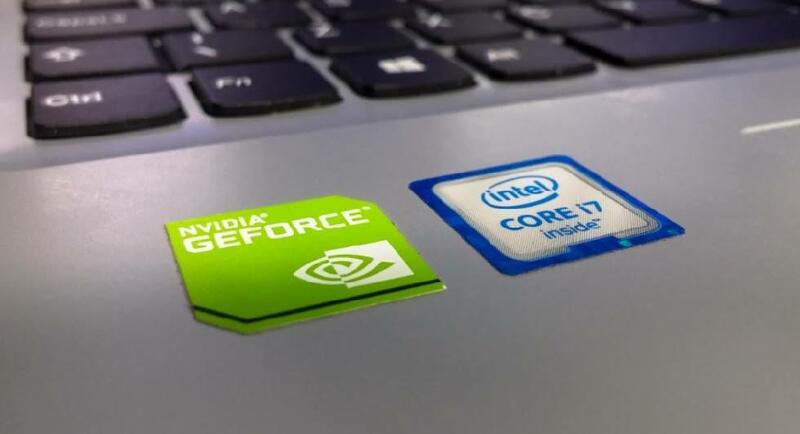 Nvidia is one of the biggest names when it comes to graphics, and you can be guaranteed their cards and units are in almost every laptop around. With that in mind, let’s see how well it stacks up to the competition and if it’s really going to be a worthwhile investment for those looking for a device predominantly for gaming. Take a look into the specs of any great laptop and you’ll likely find the Nvidia name somewhere there. 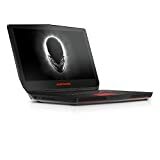 The brand is synonymous with graphics and whether it’s a high-performance gaming laptop or something simple for the home and office, their graphics are usually always involved at some level. The GeForce 940MX was released in 2016 and designed to be a mid-range graphics card. It features DirectX 12 support and also supports faster GDDR5 than their previous models. 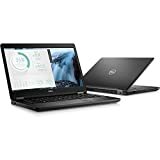 This is a common choice for laptops that can do it all, a little bit of gaming, office applications, movie watching, and all of the general stuff that computer owners do. This graphics card has been commonly compared to the Maxwell GPU that’s found in Microsoft’s Surface Books but it definitely performs better. You’ll get higher clock speeds and a lot more memory, which overall impact just how well it can handle your gaming applications. 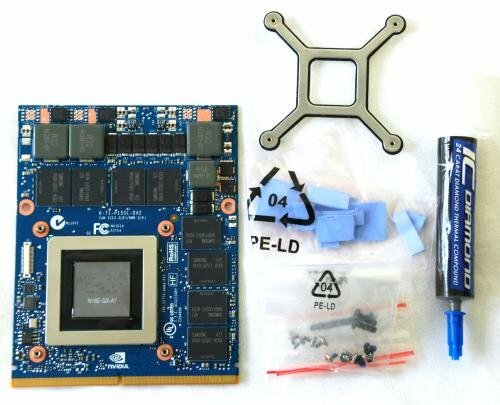 This graphics card was the preferred choice before they released their GeForce 10 Series Laptops, and it’s only a few years old as of now. Therefore, if you’re shopping on a budget but still take gaming seriously, it may very well be what you’re looking for. Touted as a mid-range performer these days, this seems to be pretty accurate when looking at its performance results. Judging by multiple tests done by online reviewers, this version of the card is still quite similar to the last with only a slight improvement in clock rates. Depending on what notebook or laptop you’re using this graphics card with, you can also expect a variation in results. The best option is to use it with a minimum quad core that you’d find on a desktop and on something with more than a 13” display, but for those looking for laptops specifically, this might not always be feasible. After testing out some of the more modern games, it can definitely hold its own with titles from before 2015. Even some games made after this date that require a whole lot of power will still be playable, provided you keep the resolution and settings to a low or medium level. Nvidia promised this would deliver up to 4X better graphics performance than before, and they have stayed true to their word. If you’re in the market for a laptop just for gaming this one could very well perform, but you’ll need to be specific about what you can play. 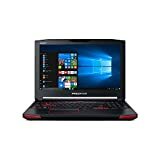 This would be a great laptop for those who wanted a mix of business in pleasure, taking their laptop to work during the day or studying with it, but also want to put in some serious gaming during their time off. However, if you’re only interested in the latest and greatest games, it may be better to spring for a laptop that has a better GPU than this, because the Geforce 940MX isn’t the most powerful around. What Games Are Playable With This Card? While it would be great to afford the latest tech as soon as it comes out, there are some gamers shopping on a budget who would still find a lot of joy with the GeForce 940MX. 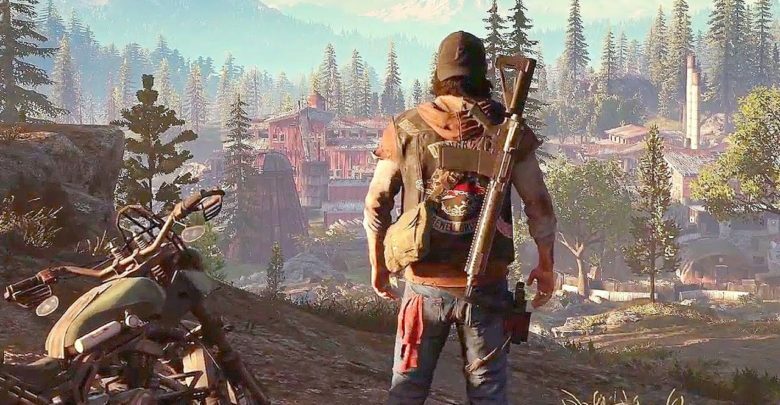 Here are just a few modern games that you’ll be able to play using this graphics card, with different settings required for the most intensive ones. Obviously, games that were released a few years ago now, dating back to 2015 shouldn’t have a problem. This was released in March 2016 and for its time was pretty epic, so there’s no reason it won’t be able to handle games from this era and before. 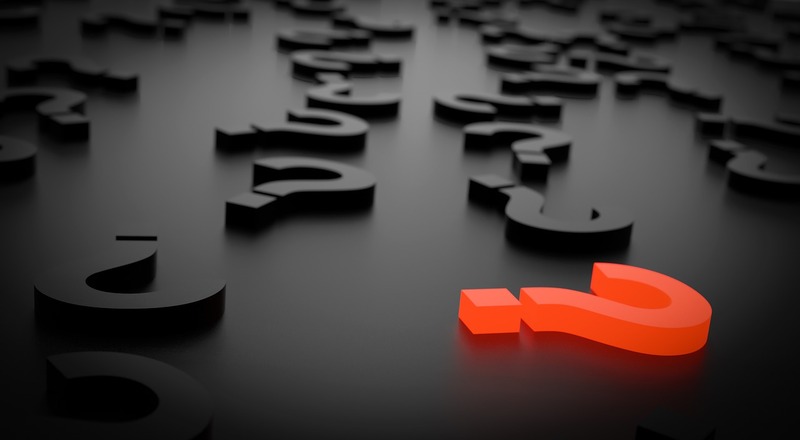 Although we look thoroughly into the graphics card, we also need to consider what other specs a device is working with to see how it will perform. These are some of the better-rated laptops that come with the 940MX graphics card and what they can offer to your gaming experience. 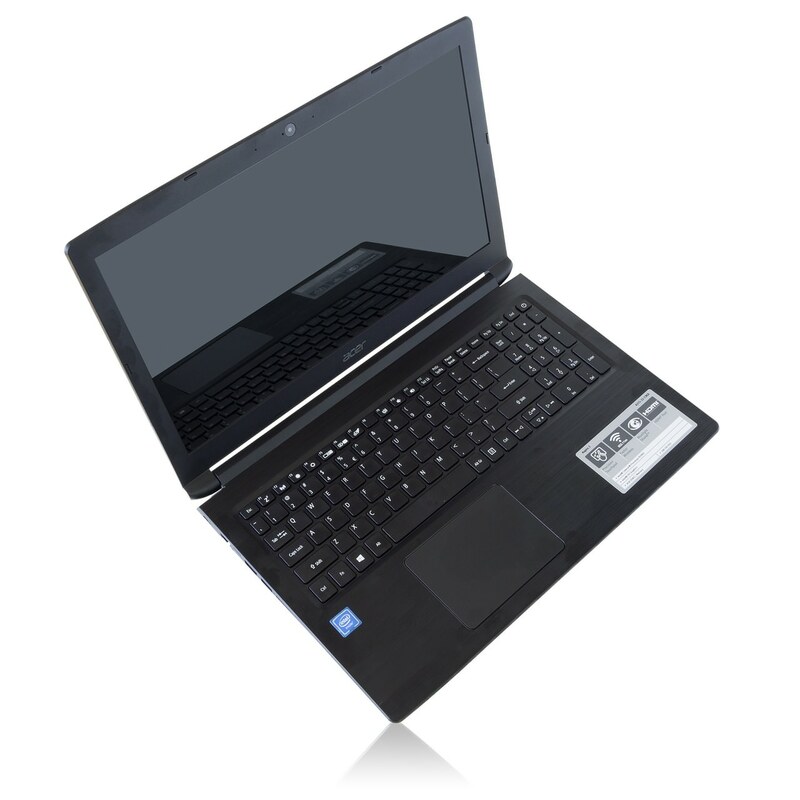 Designed first and foremost to be a business machine, the Vostro 15 definitely does its job. 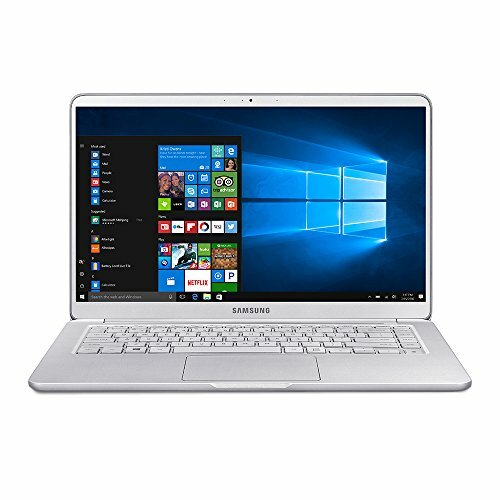 With the power to run just about any business application you need, and to do some gaming at night, it ticks all of the boxes for a professional who wants their laptop to live in the best of both worlds. The Dell Vostro 15 has the 940MX and Intel Core i7 processor so it’s got enough power to handle your gaming needs. Using a turbo mode option, you can overclock the cores up to 3.2Ghz giving it even more power when you need it. With a pretty lightweight feel of around 1.98kgs, this is fairly easy to carry around for a laptop with a screen size of 15.6”. Although designed to be used in tablet mode, you really won’t get as much performance out of the Yoga 710 unless you’re using it like a standard laptop. Designed to be beautiful on the outside and high performing on the inside, Lenovo seemed to have achieved everything they promised us with this system. The Lenovo Yoga 710 has an exceptional keyboard that makes it great for gaming and runs with the 940MX and Intel Core i7 processors. As far as laptops from this era go, you won’t find better, and it’s been made to serve you well at home and in the office. 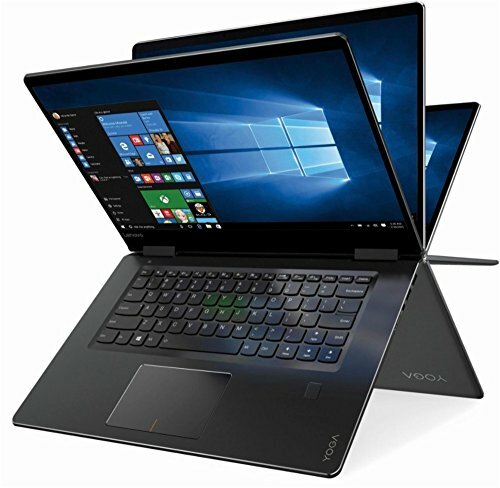 The Lenovo Yoga 710 offers a relatively small battery life when compared to others, but doesn’t seem to falter anywhere else in the budget-friendly market. This was another of Lenovo’s best business laptops, so how does it perform for gamers? Thanks to the GeForce 940MX surprisingly well. You’ll have all of your business needs covered like Windows 10 and a Trusted Platform Module for encryption, and all the tech required to power up a pretty decent gaming experience. This laptop comes with additional USB and HDMI ports to suit any gaming setup you can imagine. With the 940MX and a 7th Generation Intel Core Processor there are no doubts about its graphics. Although designed for business needs predominantly, there would be nothing stopping you from gaming until your heart’s content with the E470. 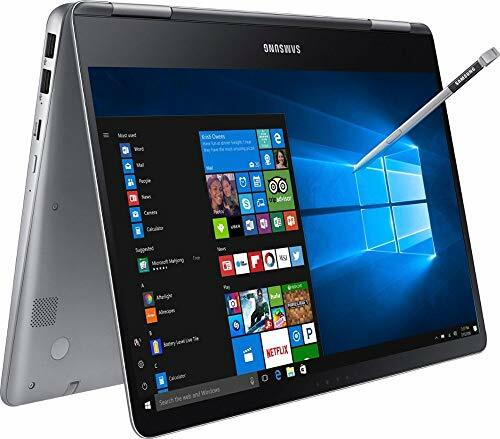 For those gamers who like to travel with their machine, you’ll appreciate the thinness and lightweight feel of the Samsung Notebook 9. Weighing just 2.9lbs and with a fully immersive 15” screen, you’ll be shocked at just how light it feels. The Notebook 9 offers a full HD display that’s great for movies and more, so it’s good for more than just gaming. With the GeForce 940MX and super fast Intel Core i7 processor, you’ll have no issues playing all of your favorites. This device has a sizeable hard drive and plenty of storage which means no lagging or clogging up memory when you’re trying to get on with the fun at hand. Samsung delivers a convenient and lightweight travel gaming device for those who favor portability over all else. The serious gaming laptop brand has delivered one of the cheaper options on the list and one that sadly doesn’t stack up as well to their other devices. The CX62 looks cool and will do a great job with older games but don’t go expecting anything new to be played in high definition. This is the newer model of their last CX series device and it’s been made a little smaller at 15.6” but kept a lot of the same tech. if you’re someone who prefers their gaming setup with less weight, this will suit at 4.98lbs. You can tell instantly how durable it is, and like all other MSI laptops, it’s pretty obvious you’ll have to do a lot of intense gaming to break it. Another great option from Lenovo is their ThinkPad 25, marking 25 years since the first release of this device. This version is far more capable of gaming when compared to others and it’s a little more expensive because of it. With the 940MX graphics card and 7th Generation Intel Core i7 Processor, as well as state of the art Dolby Surround Sound, it’s a pretty great choice for gaming. You won’t be playing anything released in the last year on this without seriously lowering the quality, but for older titles, it works a treat. The Lenovo ThinkPad is one of those great devices that claims it can do it all and actually delivers, so you can take it from home to the office to the gaming room without a fuss. For those who want the cool factor in their gaming laptop, the stylish gold and silver HP Spectre X360 could be right up your alley. This features an HD 4K display with borderless edges, touchscreen, fingerprint sensor, and all of the other cool tech you could expect from this innovative brand. If you want to know how it holds up during gaming, just ask the Intel i7 Core Processor, GeForce 940MX graphics, and Turbo Boost technology. Designed to be a companion at the office and at home, this holds up surprisingly well for those interested in gaming only. All of this tech doesn’t come cheap though, and it’s by far one of the most expensive on our list. 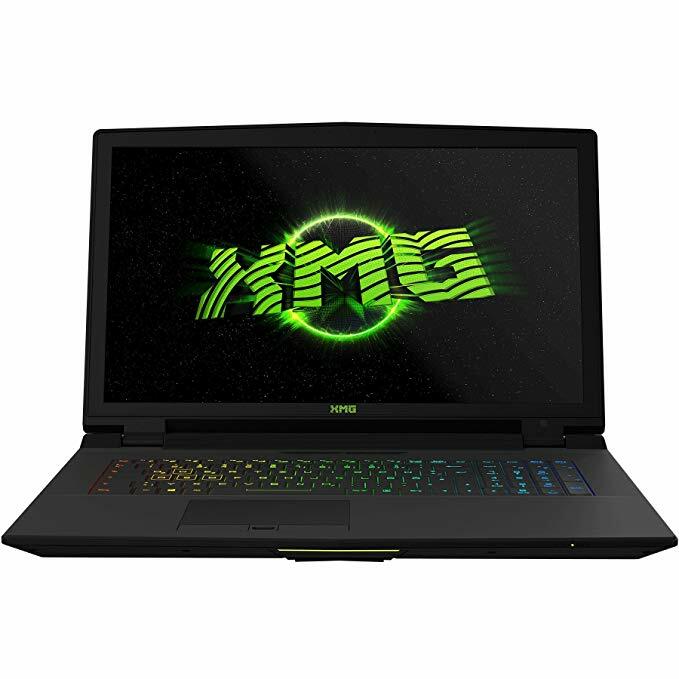 When Nvidia released the GeForce 940MX in 2016 it was the best choice around for gaming laptops and could be found in most of the top brands at the time. When the iconic 1080 came out that all changed though, pushing the 940MX into the background somewhat with other mid-range graphics cards. If you’re someone shopping on a budget or you’re not interested in just playing ultra HD games that have been released in the last 12 months, this graphics card will do you very well. There are plenty of great notebooks available today using this GPU and it’s got enough power to play most games before 2015, so would make a fantastic choice for gamers. RPG games are easily one of the most loved for the PC gamer, offering a chance to step into another reality and truly feel as though you’re living it. Over the years, we’ve seen so many great titles come our way so we’re here to look at 20 of the best RPG games that have ever been made for the PC. Role-playing games continue to be one of the toughest to define because there are now so many that fit within the genre. At its most basic, a classic RPG lets you play the role of someone else, and although these might have progressed far from their humble beginnings of tabletop RPGs to the computer screen, we still know a good one when we see it. RPGs remain a favorite among PC gamers, and with good reason. It’s rare to find this much enjoyment from a single game in another genre and the possibilities are seemingly endless. With that in mind, we’re here to look back at 20 of the best RPG games ever made and what made them such an instant classic. We’re not denying that the first Fallout was epic, but the second game took the world and expanded it beyond our wildest dreams. You get a whole new perspective because you’re playing as a wilder this time, and we think that made it a lot more enjoyable. 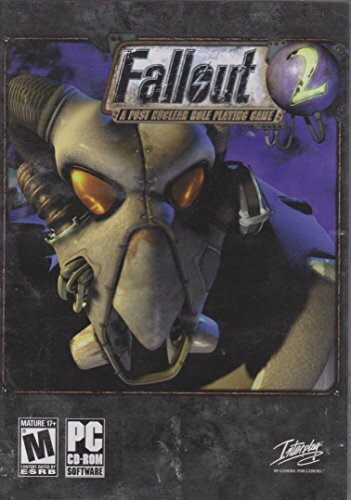 For those completely new to Fallout, it’s recommended to start with this one as it’s much better than the first and then try the classic. Made in 1998, it still holds up today some 20 years later. The 2011 classic might not be what some people consider an RPG due to the fact that you don’t have to level up to move forward, but in our eyes it definitely is. There’s a world of exploration at your fingertips and you must use your keen eye and sense to pick up clues and figure out what to do next. Sure, it’s hard, but what good RPG isn’t? This is a game you can devote hours to and feel satisfied with the reward. 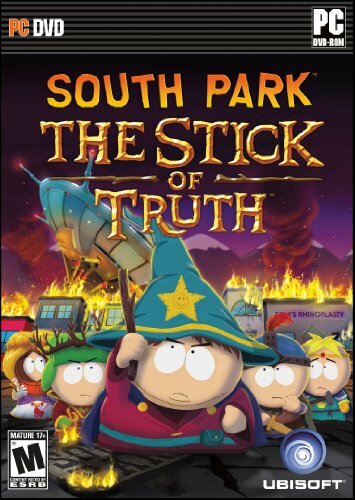 There are no rules that state for an RPG to work it has to be deadpan serious the whole time, and South Park proved that with The Stick of Truth. Made in conjunction with Obsidian in 2014, this shouldn’t have worked on so many levels, and yet it did. You play the role of the four main characters as they work their way through challenges, and it uses all of the standard RPG rules that you’d expect to find in a more serious game. Somehow, it just comes together and works. Now 16 years old, the technology used in this one might have dated a bit, but the fun certainly hasn’t. Arx Fatalis let you control the magic system in this game and created a completely immersive dungeon experience that calls to the fans of RPG. The best part is having to memorize runes and then draw the image in the air using your mouse, with results that will make you feel as if you had real-life magic powers. 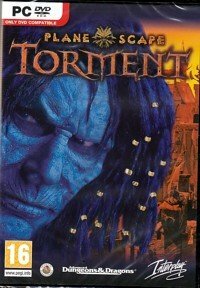 By far one of the most famous RPGs in history, Planescape: Torment follows the story of The Nameless One as he goes on a journey of self-discovery. Not only is the main challenge enthralling and engaging, but it’s got some of the best supporting characters and story development we’ve ever seen in an RPG, including a witty floating skull named Morte. Now almost 20 years old, this one has not aged a bit and still presents a real and thrilling challenge. There’s no way we could have an RPG list without at least one of The Elder Scrolls titles on it, so this is the first of two. 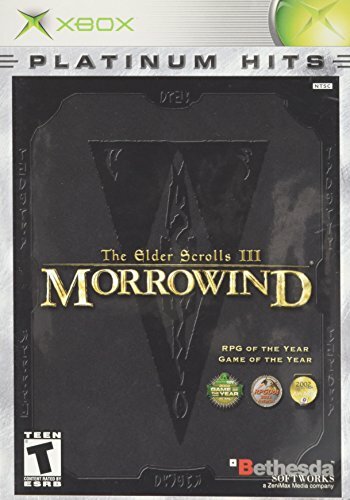 Morrowind signaled a real change for this genre and allowed you to journey for virtual miles without ever encountering a loading screen. There is a thriving community who continues to make mods for this 16-year-old game, and although the graphics might not be up to today’s standards, you’ll be hard pressed finding another story that is. Another entry for The Elder Scrolls is the hugely successful Skryim. 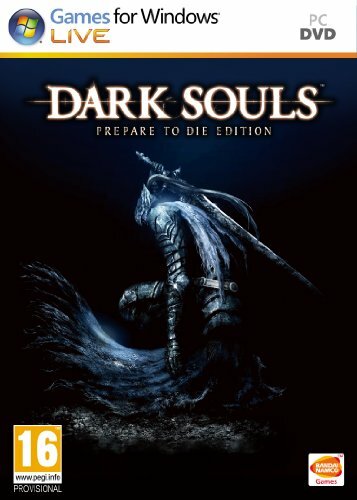 There’s no way that you could finish or explore all of this game, and if you managed to, there would be some mod waiting around the corner to change all of that. This game will get you lost for hours at a time discovering dragons or battling with others, and it seems there’s no end to the fun you can have. 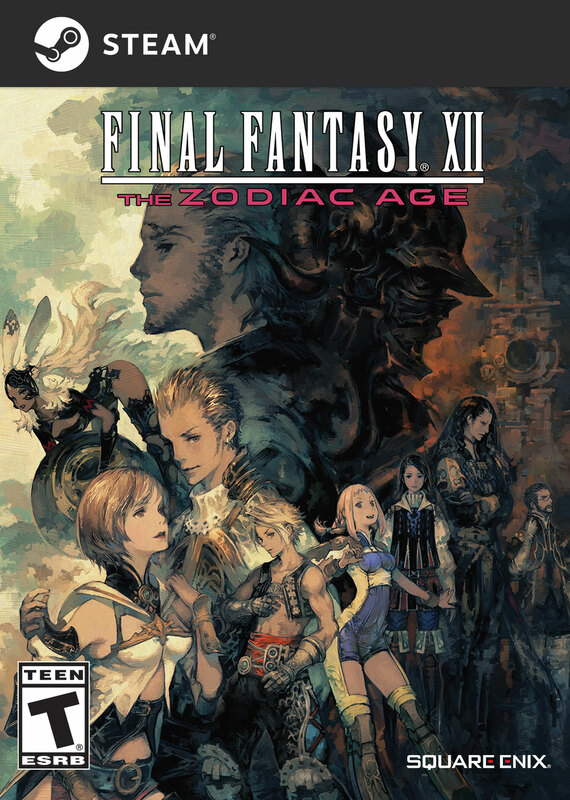 It’s impossible not to engage with the characters in this game, which is the tell of a truly great RPG. 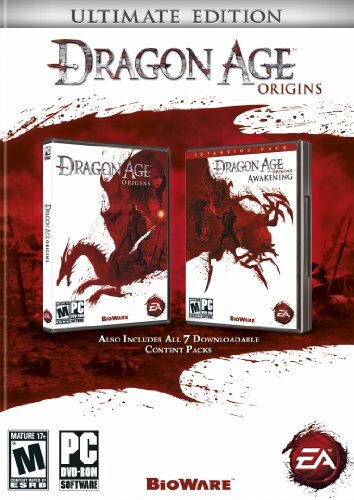 Dragons are pretty standard when it comes to RPG titles, but none have done it better than Dragon Age: Origins. Their goal was to recreate the feel of Baldur’s Gate and they’ve been pretty successful, so if you’re chasing some nostalgia this is the way to go. You’ll be fully in charge of combat and give out orders as needed, so the fate of this world is literally in your hands. There’s no better way to play an RPG than with this type of virtual power, especially when dragons are involved. 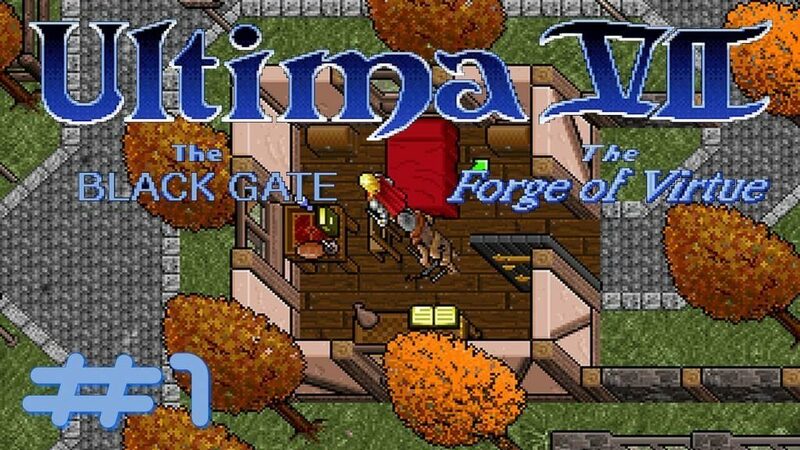 We’re taking it way back now with the 1992 classic Ultima VII: The Black Gate. This was the first time that the gaming world got to witness what was possible with these types of adventures, and even though the graphics are super old by now, it’s still a thrill to play. The Black Gate starts off with a double homicide that’s up to you to solve and leads you on a spiritual journey, which is more than we can say for most games nowadays. 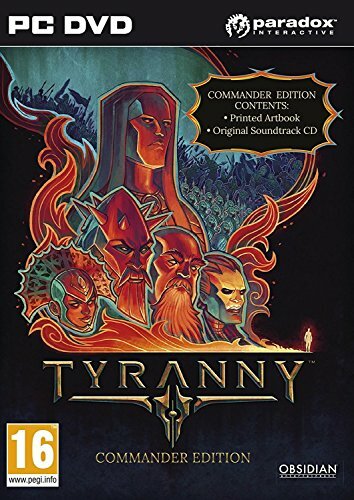 Tyranny takes the traditional lead role in an RPG and flips it on its head, with you being in control of someone evil for a change. 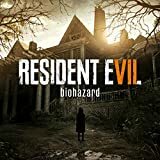 This is a truly creative game that will make you feel as though you were playing something from the nineties, but only it was released in 2016. You’ll be charged with helping out Kyros the Overlord and doing all of the dirty work, which is a whole lot of fun and a challenge. This game gives real-time combat with a mix of fantasy, so it ticks all of the boxes for what a great RPG should be. 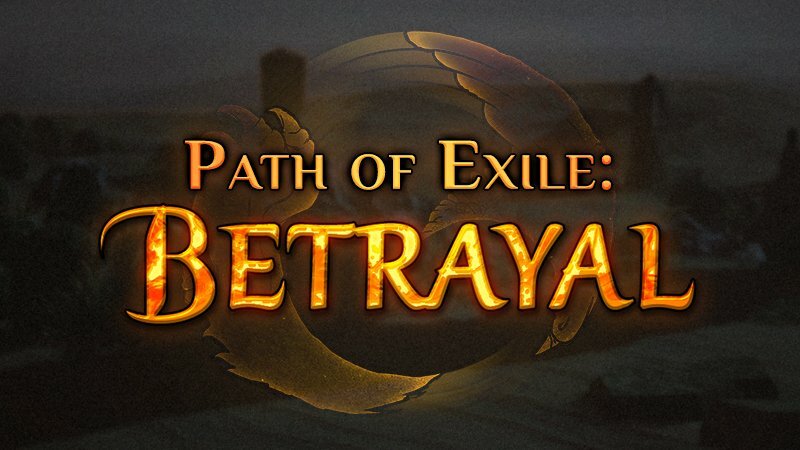 As the only free game on our list, there’s no excuse not to check out Path of Exile. This RPG lets you use your brain power to construct builds that will get you through the game, but it’s extremely challenging at the best of times. The graphics might not be as good as some others, but it will have you focused for hours and willing to try anything to beat it. Leveling up gives you important changes to your character, but you’ll need to defeat the enemy in order to progress. Released in 2003, people were pretty excited to see how Obsidian would top the first Neverwinter Nights made by Bioware. 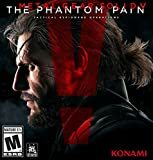 They managed to do it with ease, it would seem, and this is one of those great RPGs that will have you laughing as well as challenging yourself, with a lot of the humor that older style games used to have. 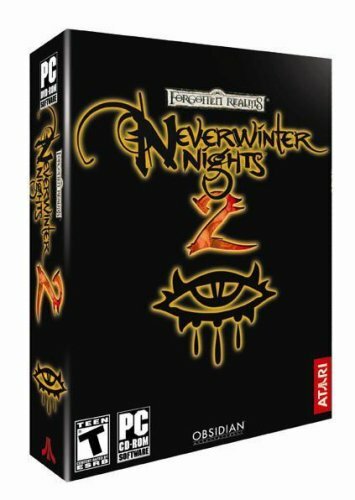 Neverwinter Nights 2 was released in 2003 but can easily stand up to modern titles in so many ways, so it’s definitely one to check out. 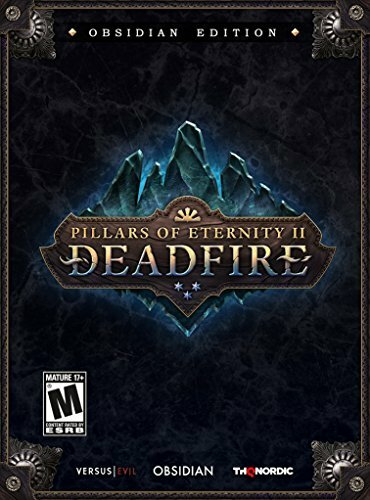 One of the newer titles on our list but still great nonetheless, and with the Obsidian name behind it you don’t have to wonder how good it will be. Deadfire takes place on the sea, so you’ll have to learn how to command that, along with everything else. When you hit land, the format changes completely to look more like a classic RPG so they’ve managed to stay true to the genre while modernizing things a bit. There aren’t many RPGs around that come close to the beauty of The Witcher 3: Wild Hunt, and every small detail that’s been accounted to add to this greatness. Released in 2015, it’s still relatively new and not lacking in any of the gameplay. The best thing about the game is the number and quality of quests available that will keep you engaged and challenged from start to finish. These quests aren’t just fun, but they delve into real life social issues and will cause you to think more than once, so it’s perfect for those looking for a little more from their gaming. For those who prefer their RPG with a little more grit, check out Grim Dawn. This RPG is unlike the others on our list, and it allows you to get down and dirty. You’ll fight demons and warlords as you make your way around and through their worlds, and never with the feeling that you’re in some pansy fantasy land. Grim Dawn focuses on one thing: destroying armies, so don’t play it if you’re expecting to be taken on a bunch of quests and mini-challenges. If you like to do your RPG gaming with friends, look no further than Divinity: Original Sin 2. 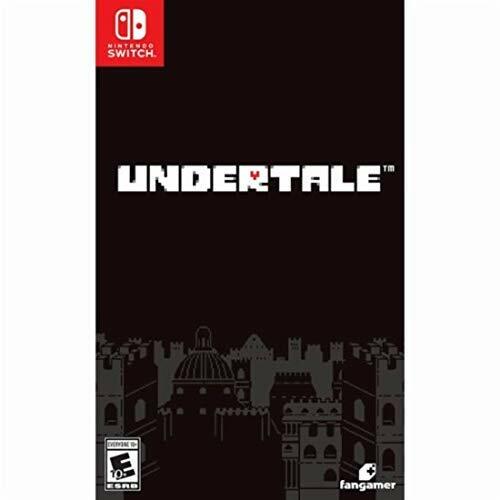 This amazing RPG is fairly new compared to others on our list, and it boasts the unique ability to be able to play with three other people. What makes this game a standout is the sheer volume of choices you have, and the ability to always find a way to do something even when it seems there are no options left. 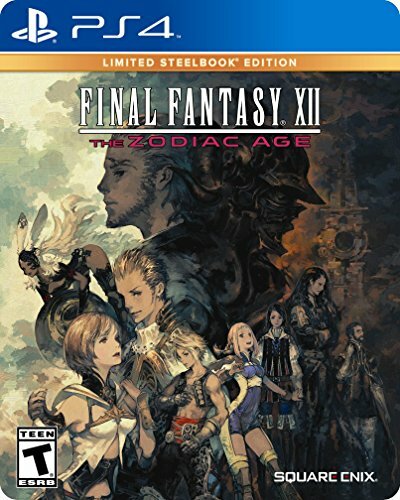 The PC version of Final Fantasy XII: The Zodiac Age was released in 2018, much to player’s delight, and it’s still known as the best of the bunch. 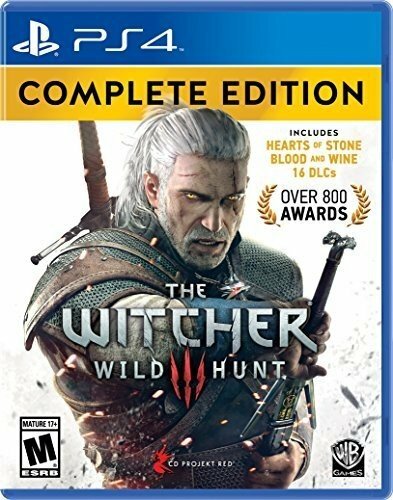 This game features the now famous gambit system which lets you program your party members down to the finest detail, making for a completely unique gaming experience. Sure, it might not be up to scratch with the streaming we’re used to today, but it definitely gets the job done. Have you ever been playing Final Fantasy and thought it needed more of a Western tone? 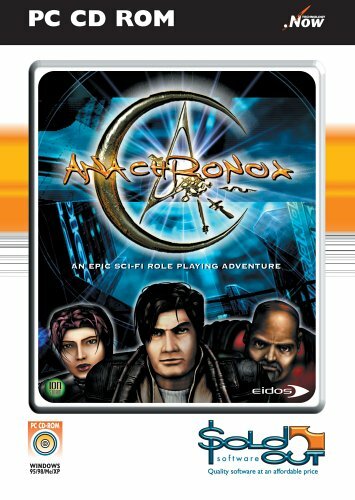 Apparently that’s what game developer Tom Hall thought when he created his first and only RPG, Anachronox. This game is western meets aliens and you’ll find yourself having a little too much fun with the dialogue. It’s witty, challenging, and has far more personality than most RPGs could ever wish for today, so definitely one to try out. This is a cartoonish looking RPG that makes plenty of references to the other greats in its genres, but if you can get past the first few minutes you’ll see it’s so much more. Undertale lets you make all of the decisions and gives you an immersive storyline to follow, earning it a very rightful place on our list of the best RPG games. The creators of this game never said they were going to do anything new, quite the opposite in fact, as it feels more like a nod to other greats in the genre. However, Pillars of Eternity is by far one of the best RPG games around thanks to the skillful writing and amazing storyline. The graphics seem dated but it kind of adds to the nostalgic feel. 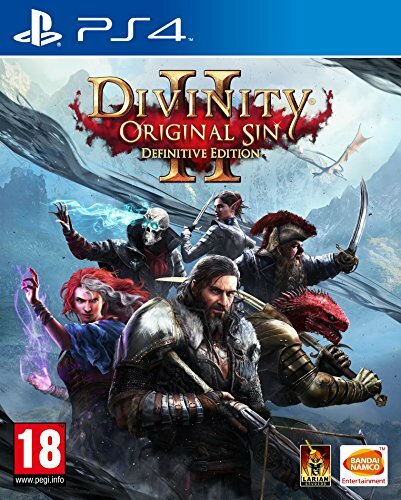 Released in 2015, you could be forgiven for thinking this was a lot older, but it’s got all the makings of a terrific RPG. 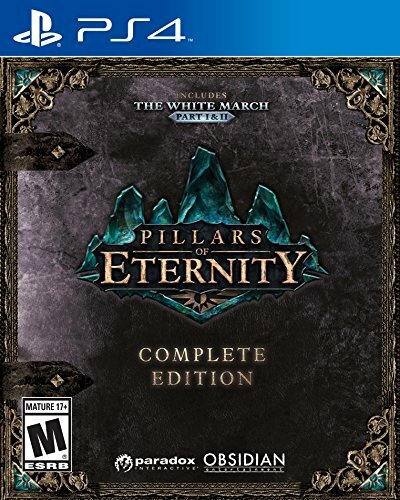 Pillars of Eternity is by far one of the best RPG games around thanks to the skillful writing and amazing storyline. This is a cartoonish looking RPG that makes plenty of references to the other greats in its genres, but if you can get past the first few minutes you’ll see it’s so much more. This game is western meets aliens and you’ll find yourself having a little too much fun with the dialogue. It’s witty, challenging, and has far more personality than most RPGs could ever wish for today, so definitely one to try out. This game features the now famous gambit system which lets you program your party members down to the finest detail, making for a completely unique gaming experience. Sure, it might not be up to scratch with the streaming we’re used to today, but it definitely gets the job done. What makes this game a standout is the sheer volume of choices you have, and the ability to always find a way to do something even when it seems there are no options left. This RPG is unlike the others on our list, and it allows you to get down and dirty. You’ll fight demons and warlords as you make your way around and through their worlds, and never with the feeling that you’re in some pansy fantasy land. The best thing about the game is the number and quality of quests available that will keep you engaged and challenged from start to finish. These quests aren’t just fun, but they delve into real life social issues and will cause you to think more than once, so it’s perfect for those looking for a little more from their gaming. Deadfire takes place on the sea, so you’ll have to learn how to command that, along with everything else. When you hit land, the format changes completely to look more like a classic RPG so they’ve managed to stay true to the genre while modernizing things a bit. This RPG lets you use your brain power to construct builds that will get you through the game, but it’s extremely challenging at the best of times. The graphics might not be as good as some others, but it will have you focused for hours and willing to try anything to beat it. This is a truly creative game that will make you feel as though you were playing something from the nineties, but only it was released in 2016. You’ll be charged with helping out Kyros the Overlord and doing all of the dirty work, which is a whole lot of fun and a challenge.